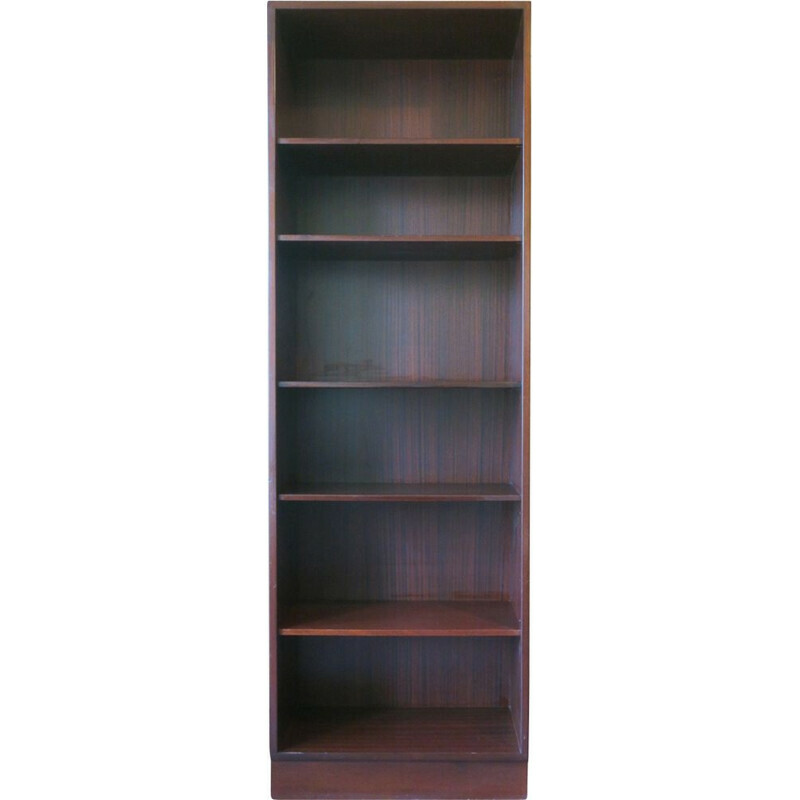 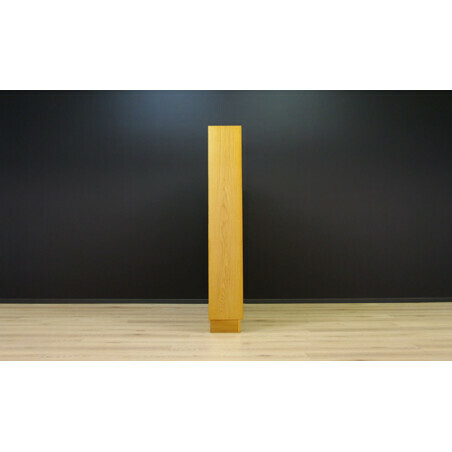 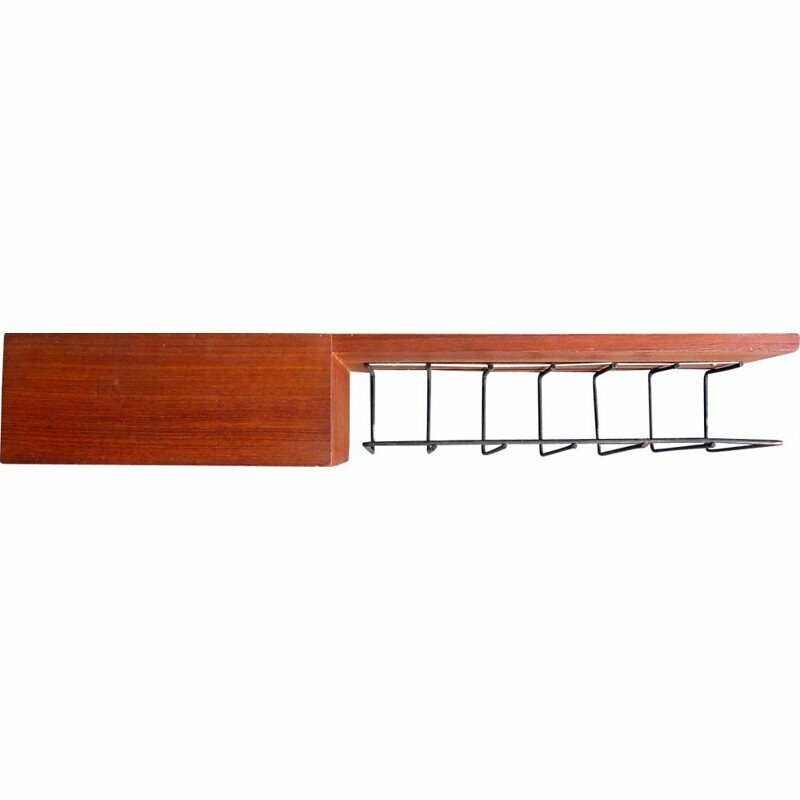 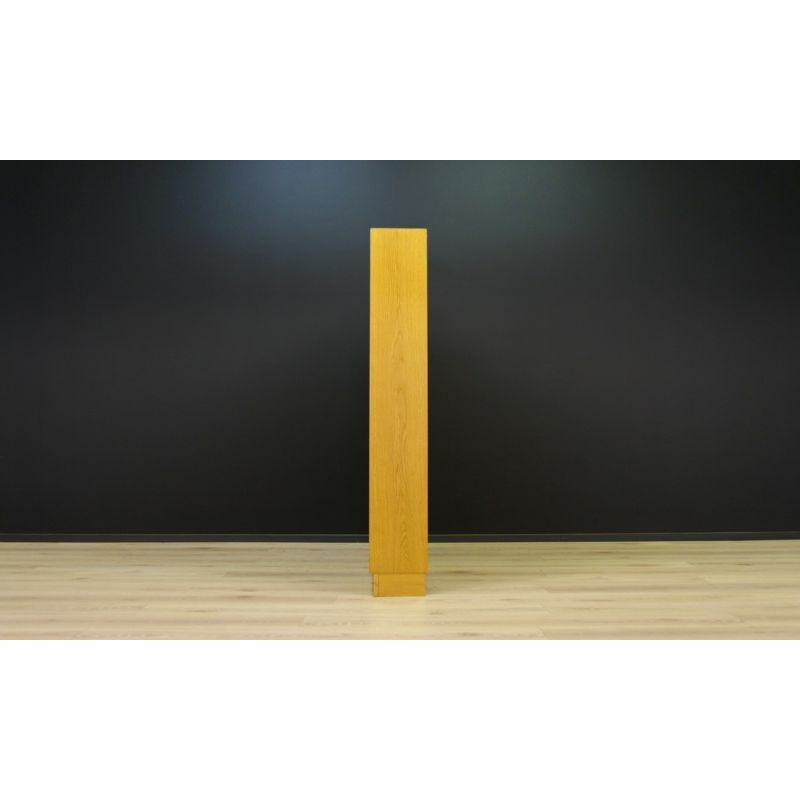 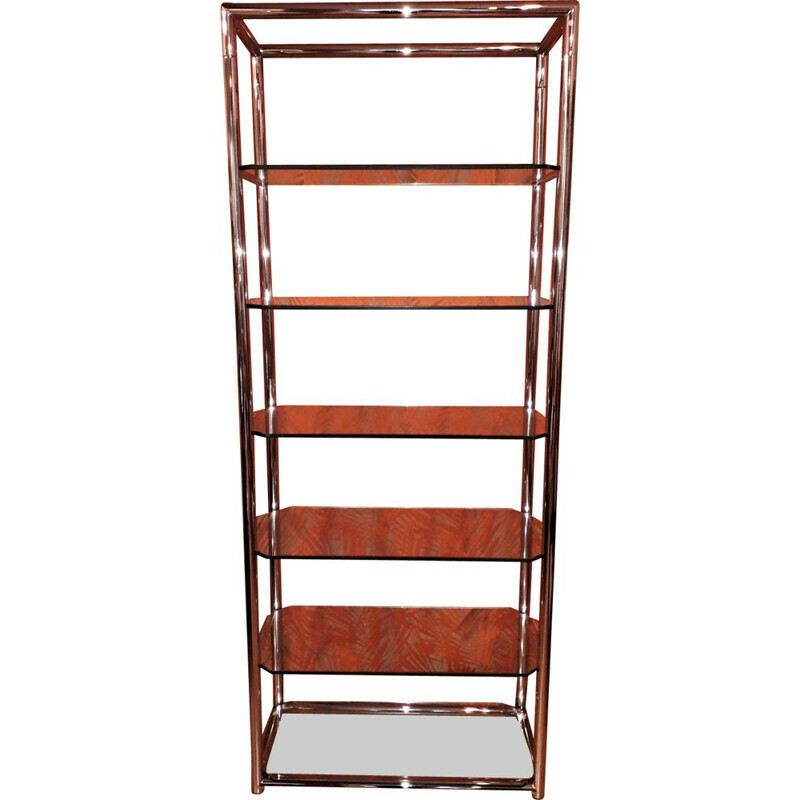 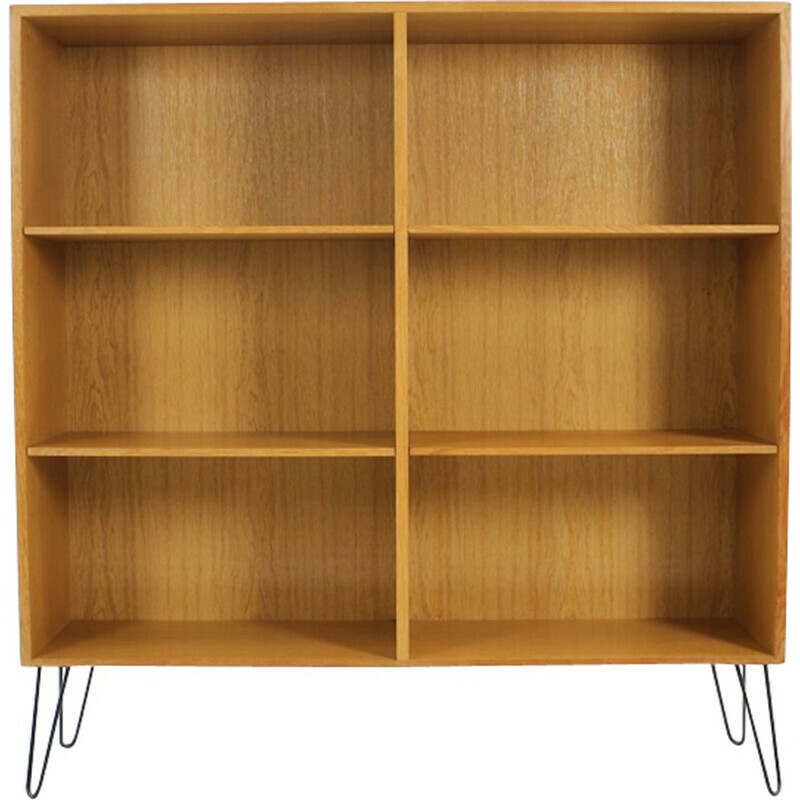 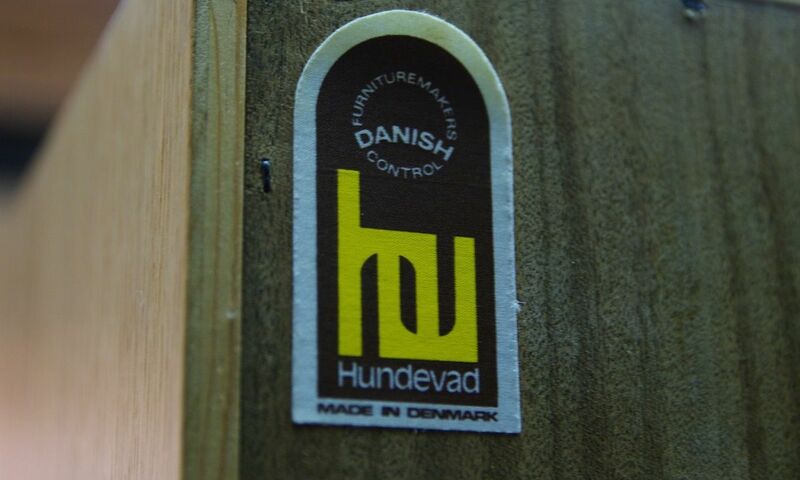 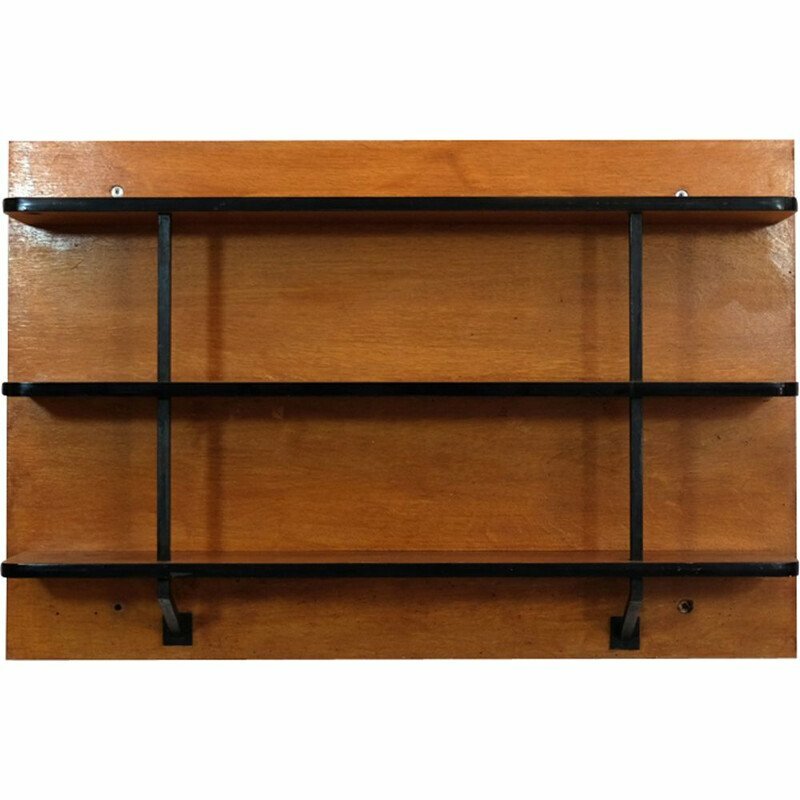 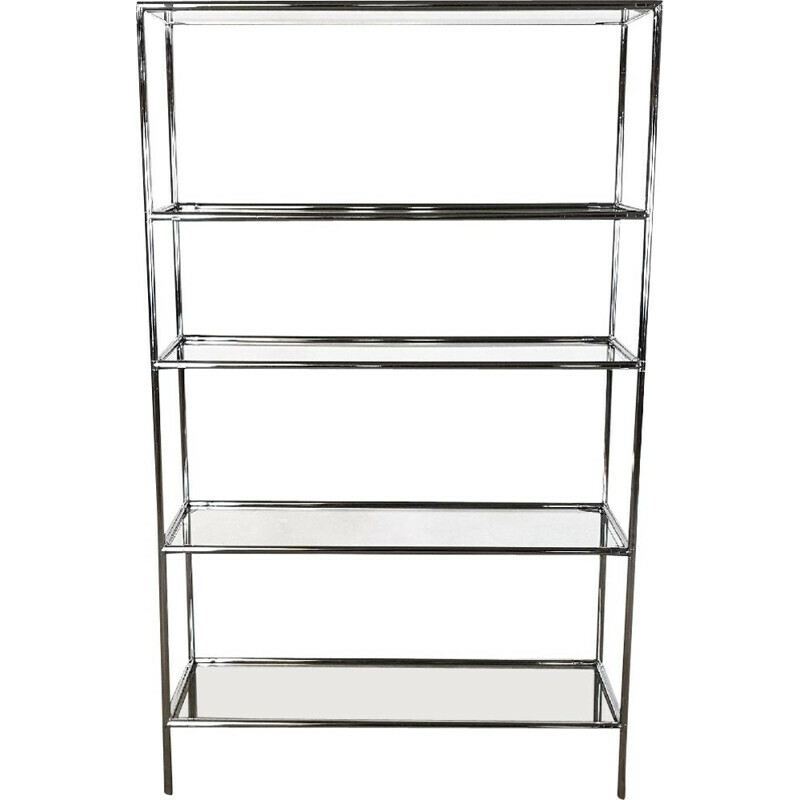 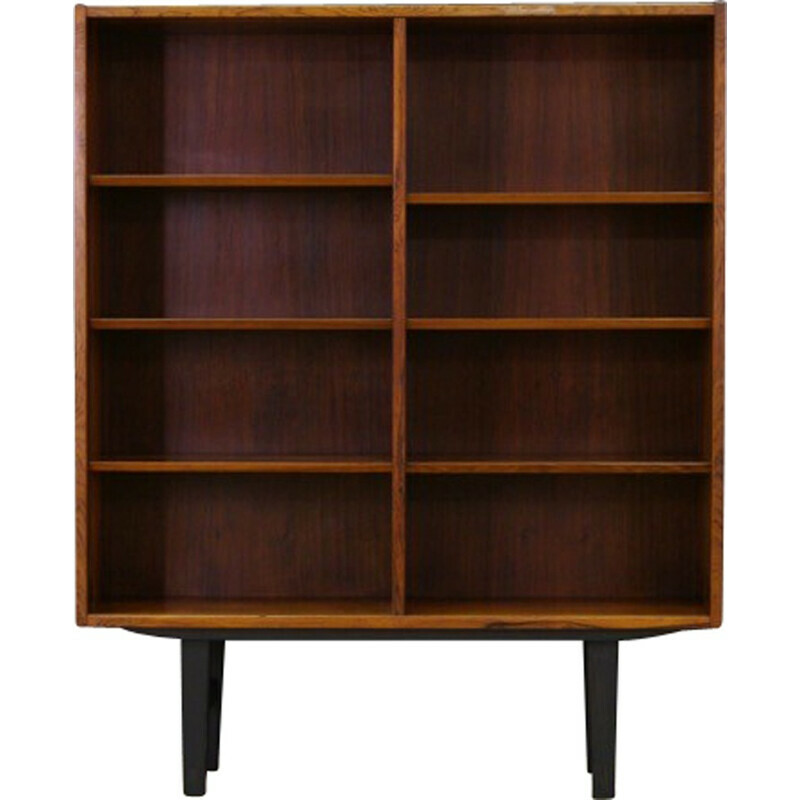 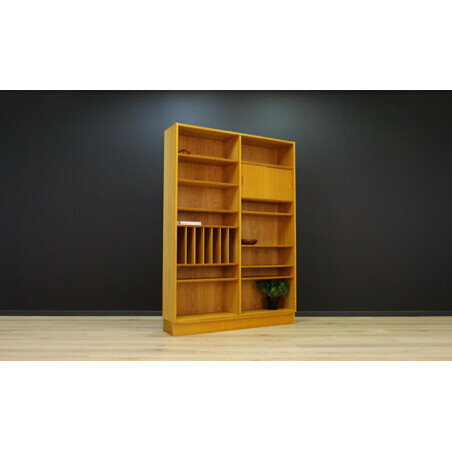 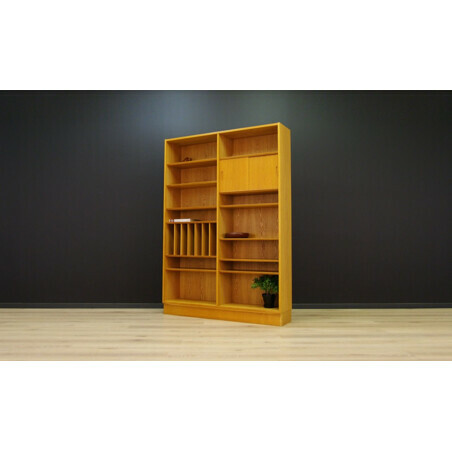 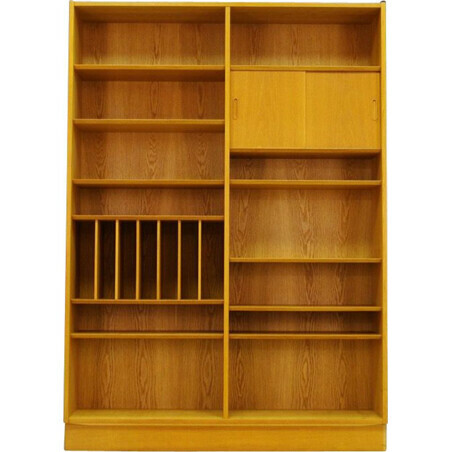 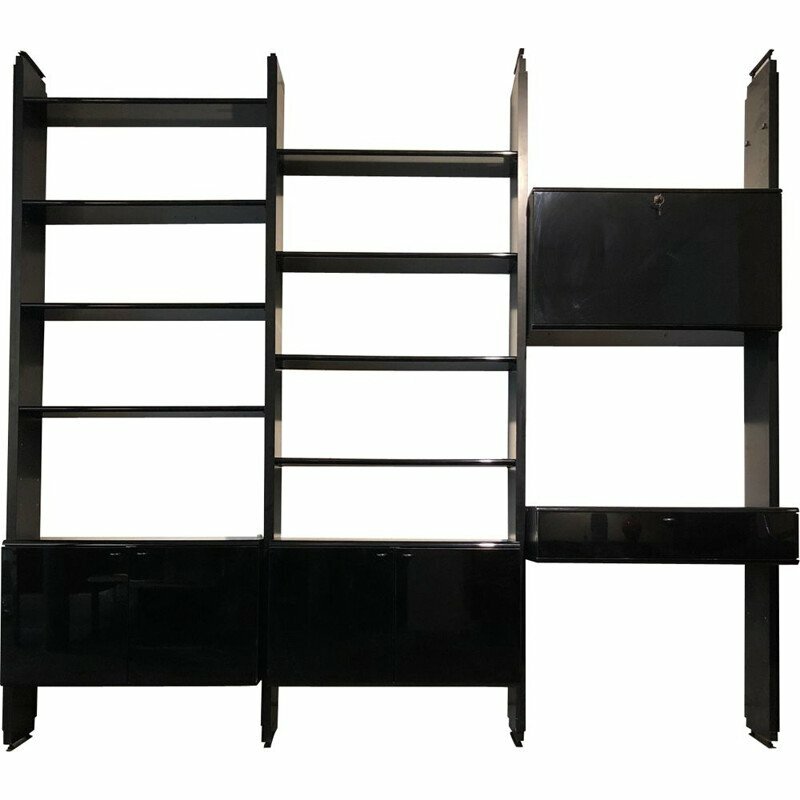 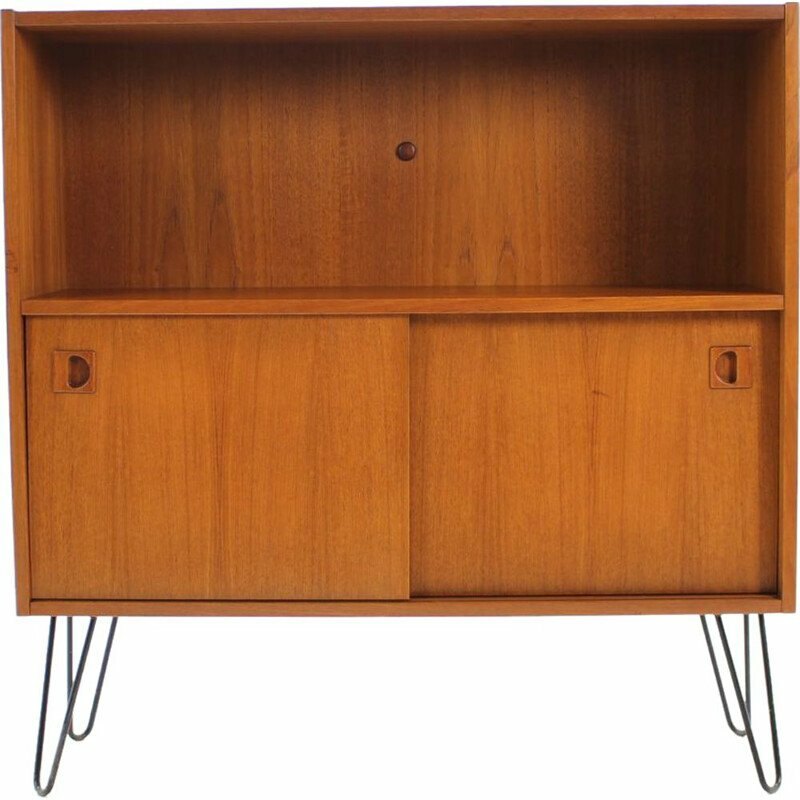 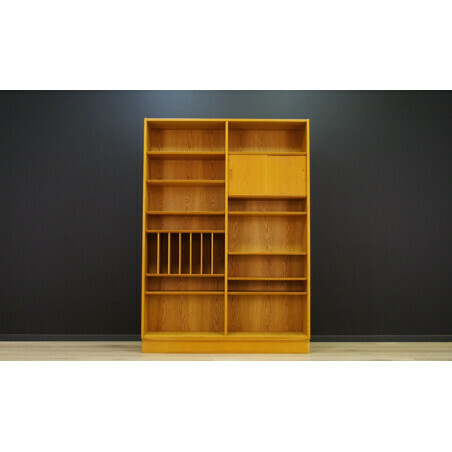 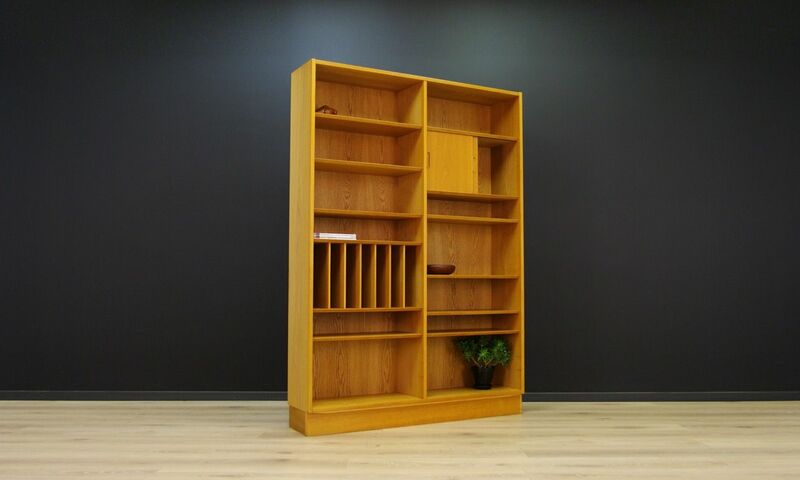 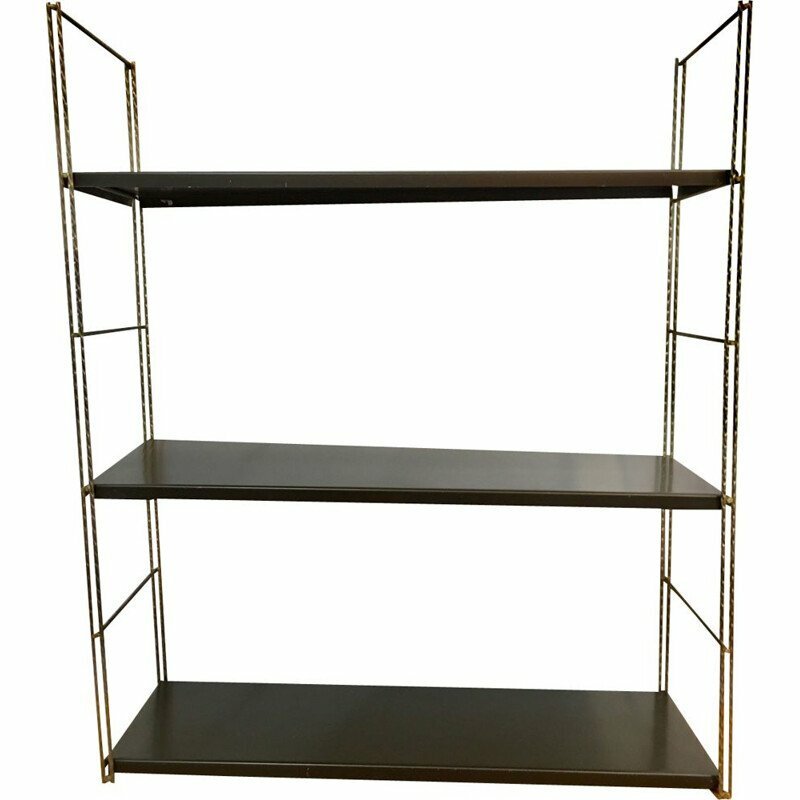 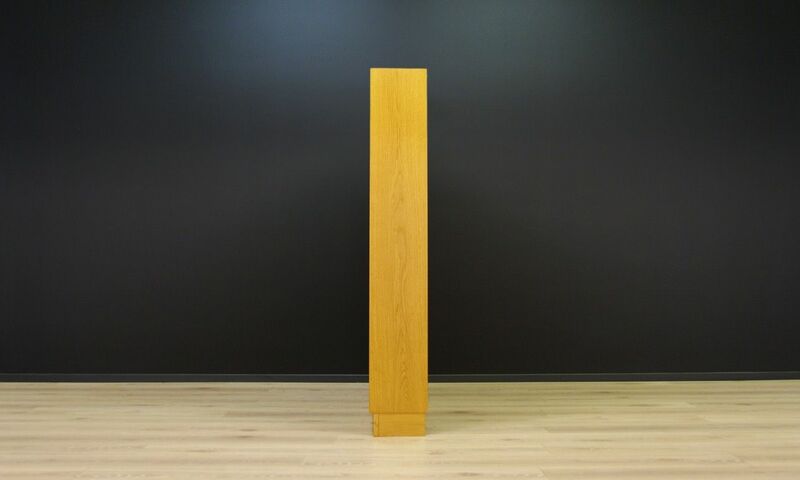 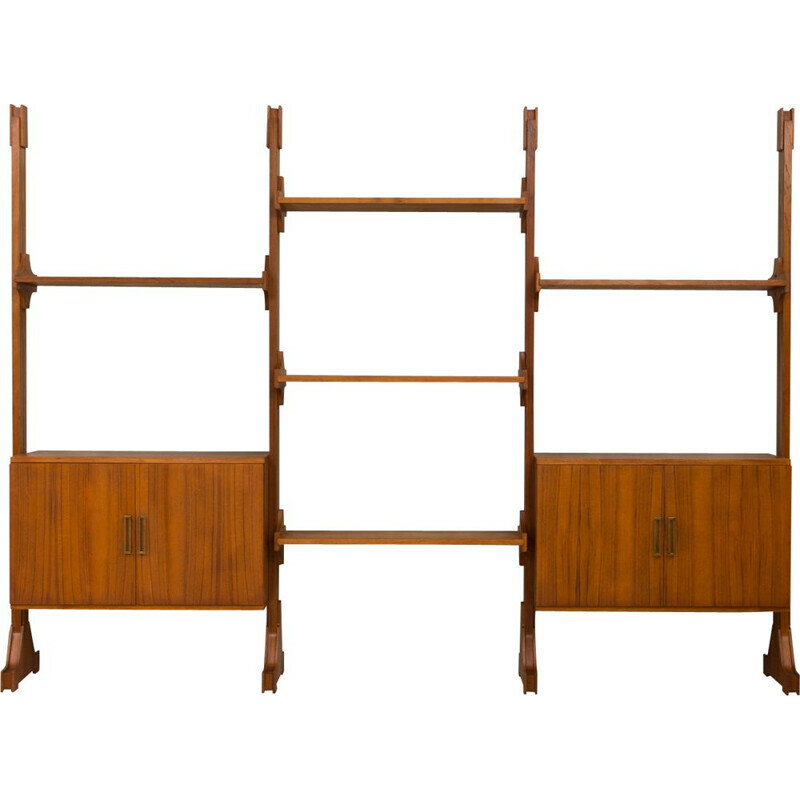 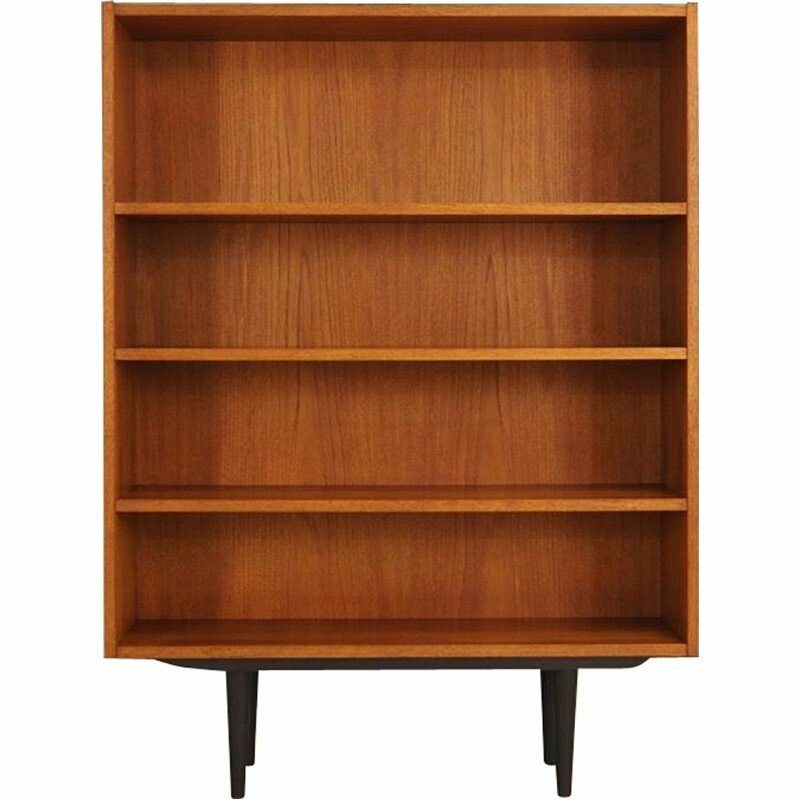 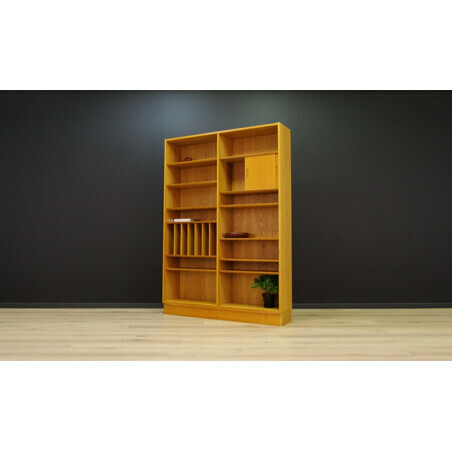 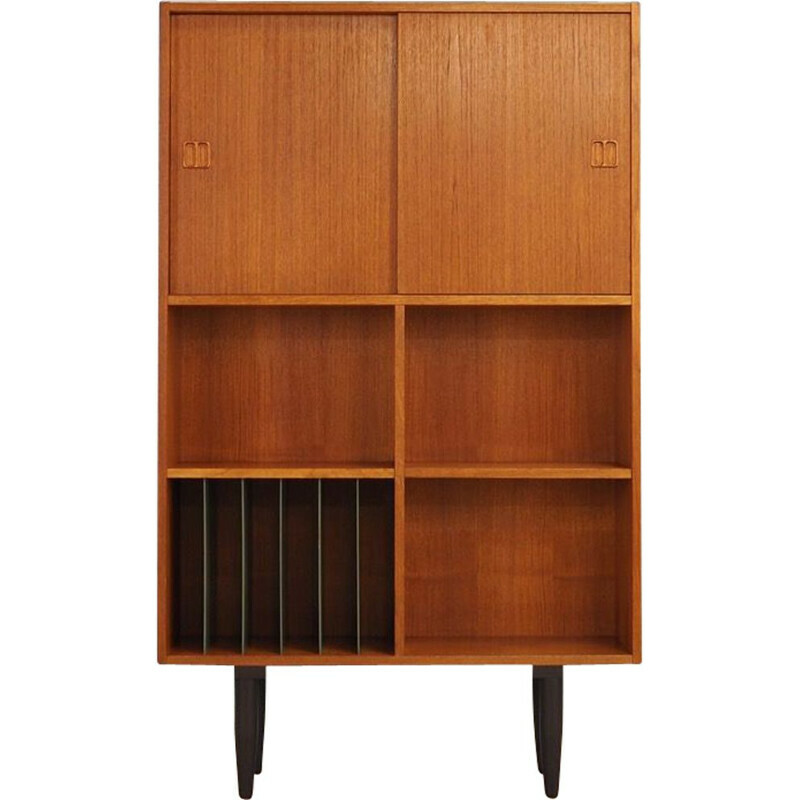 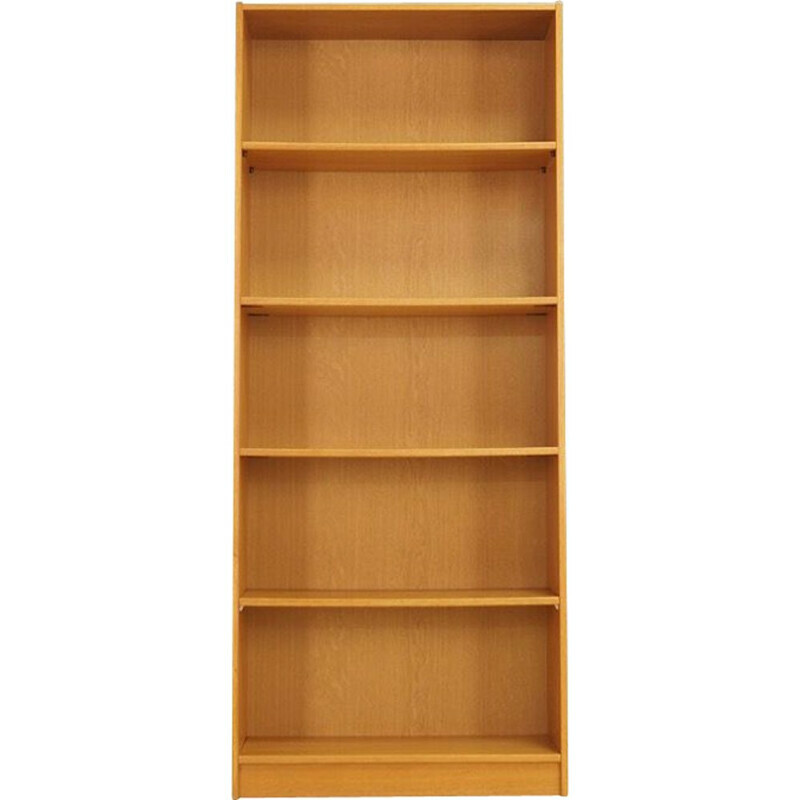 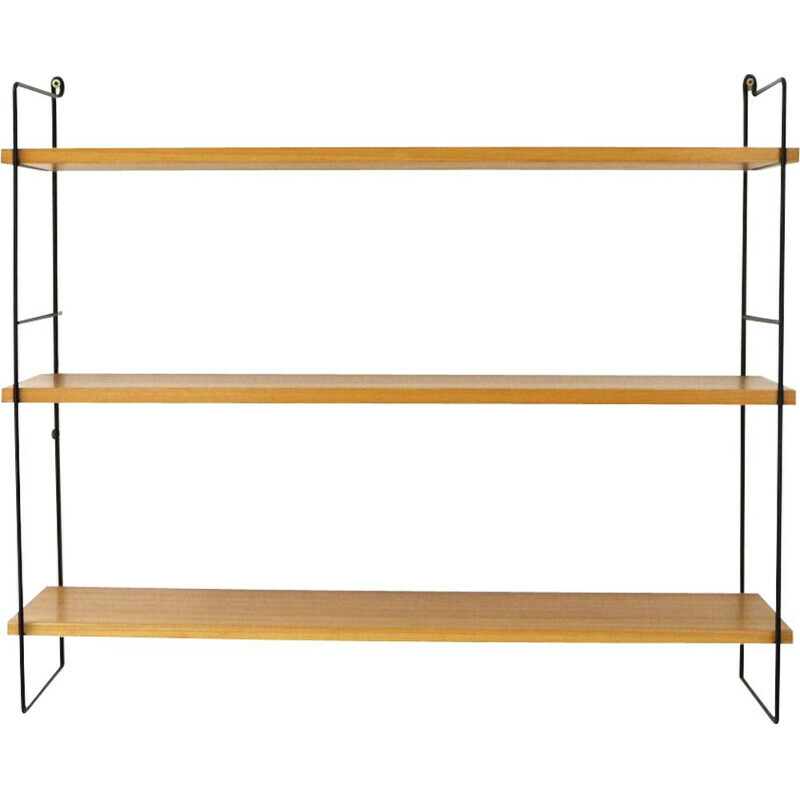 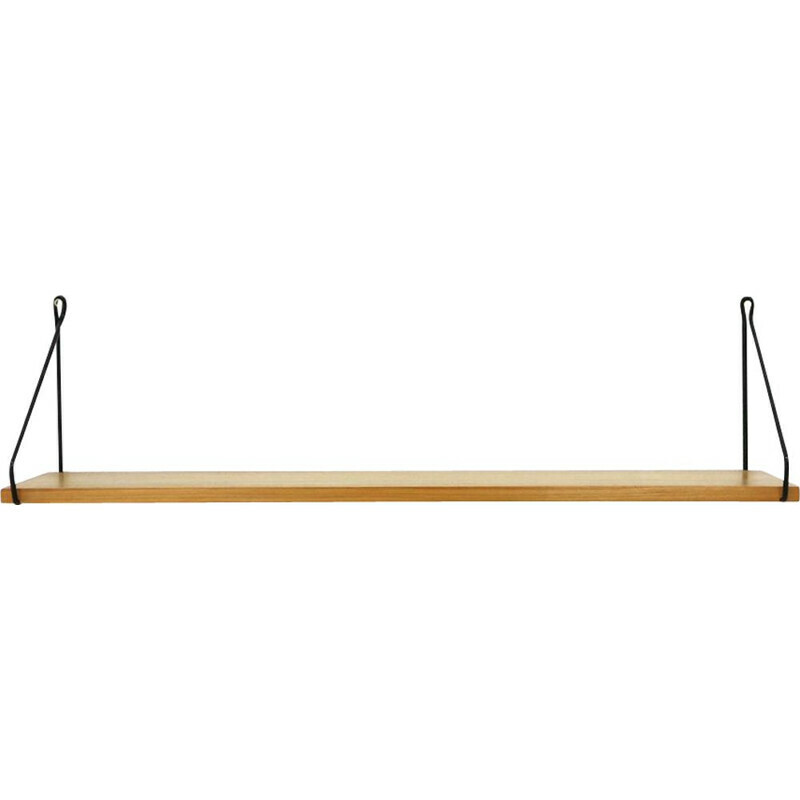 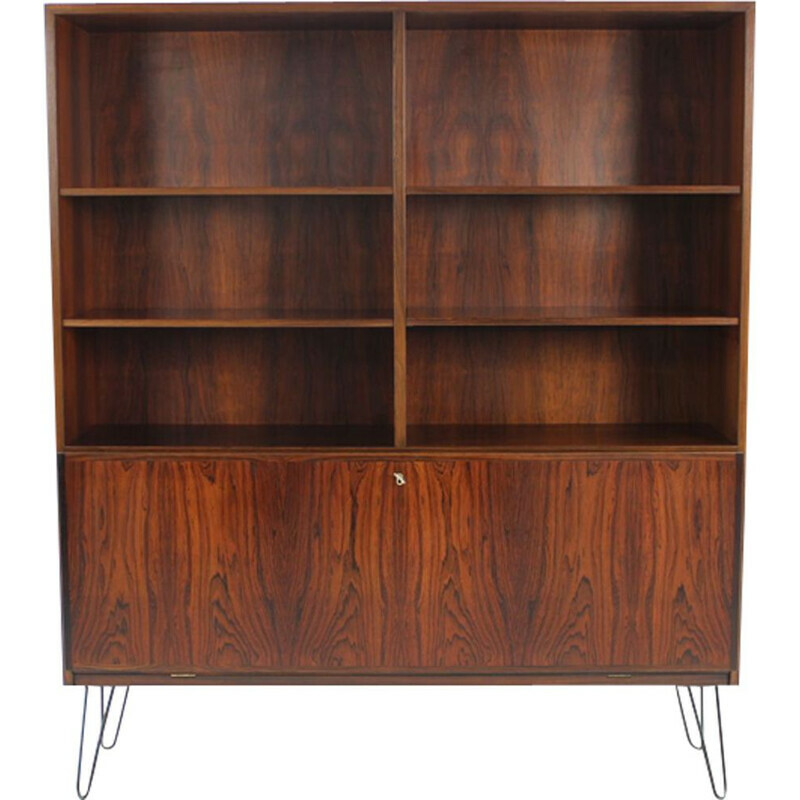 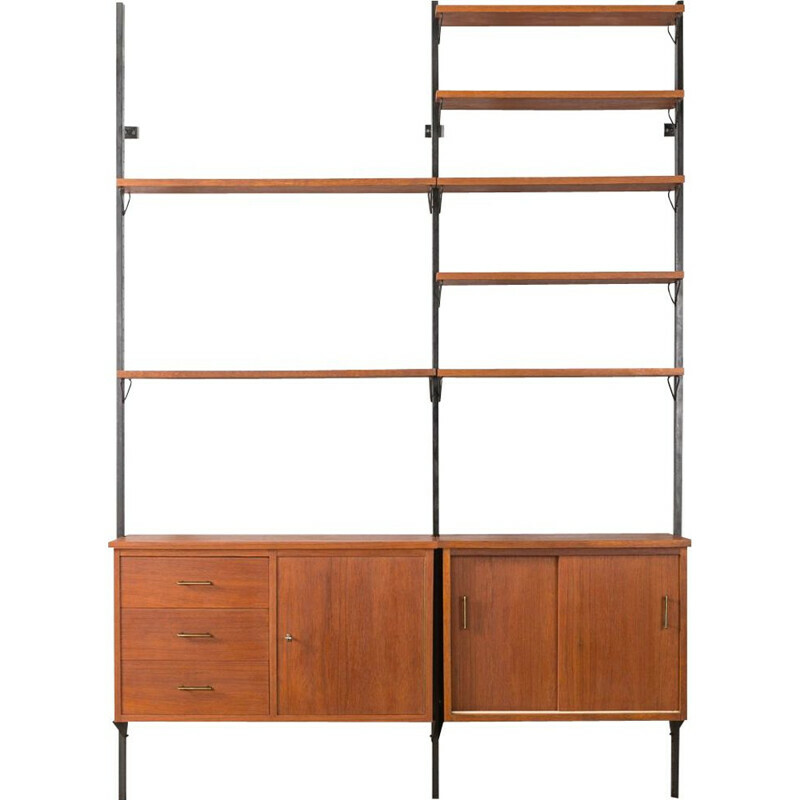 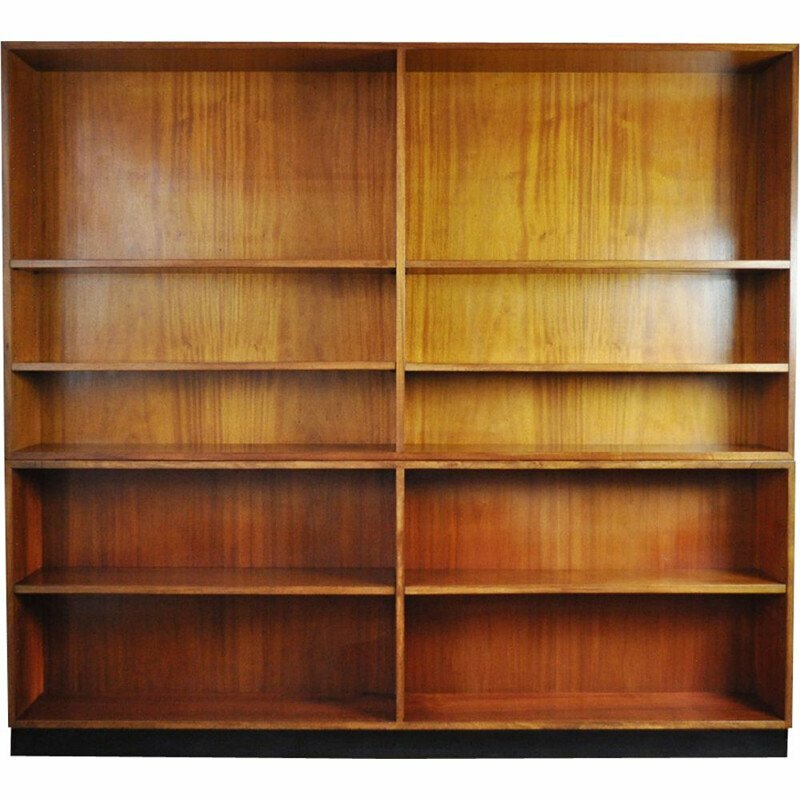 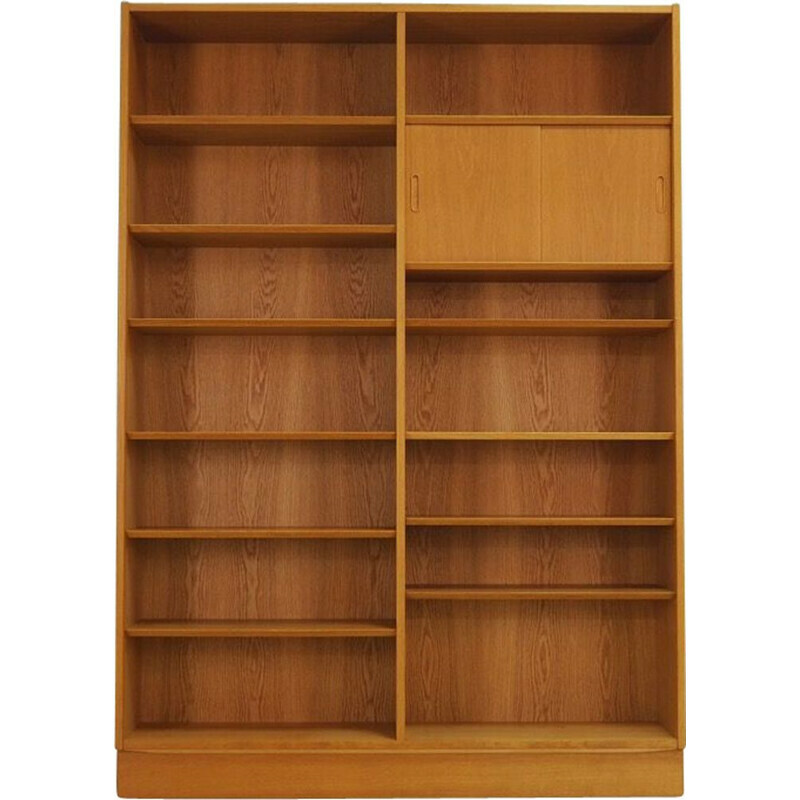 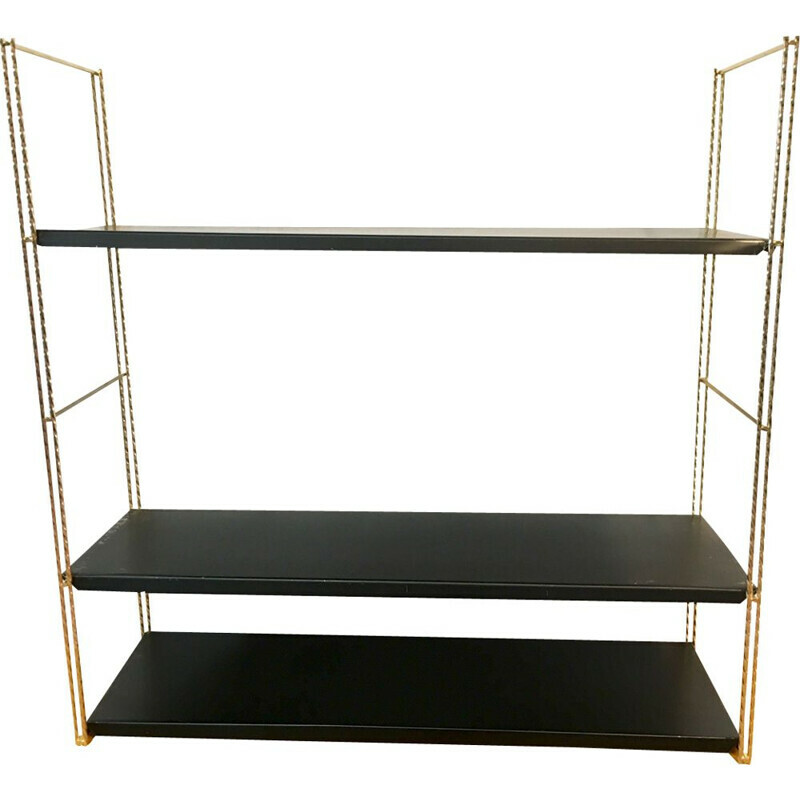 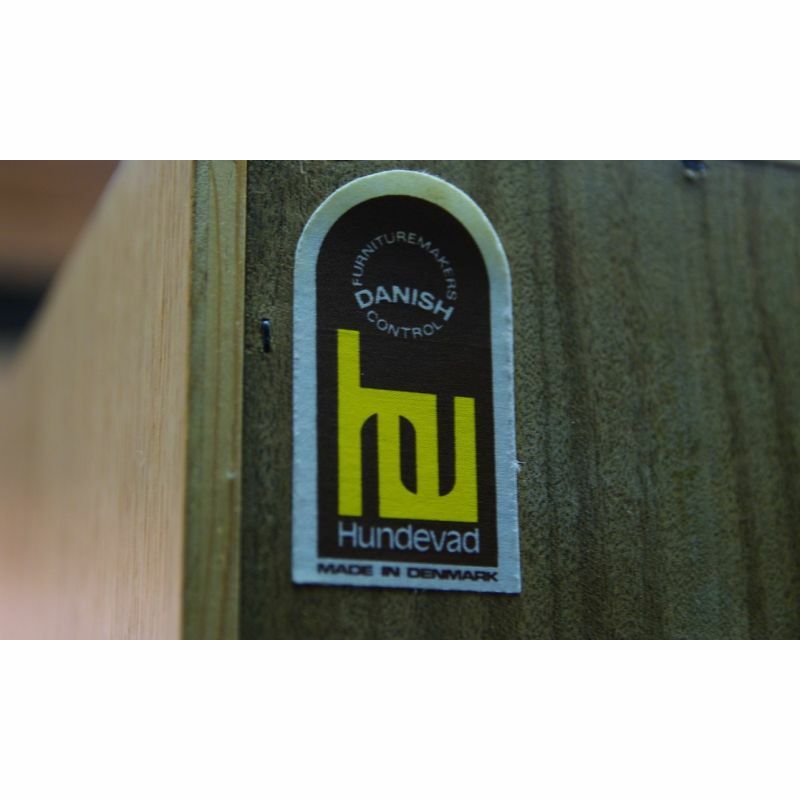 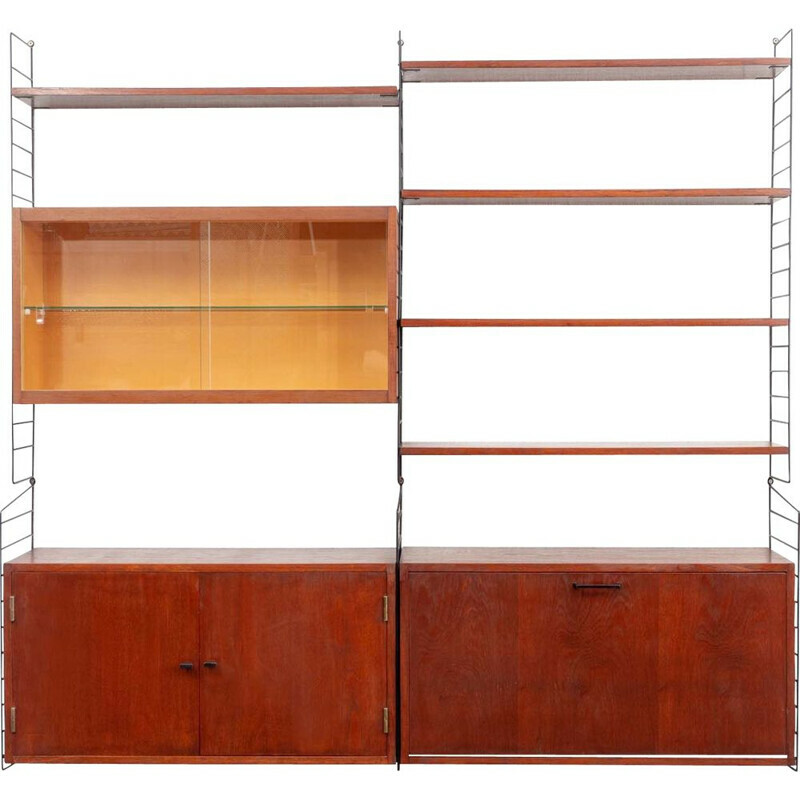 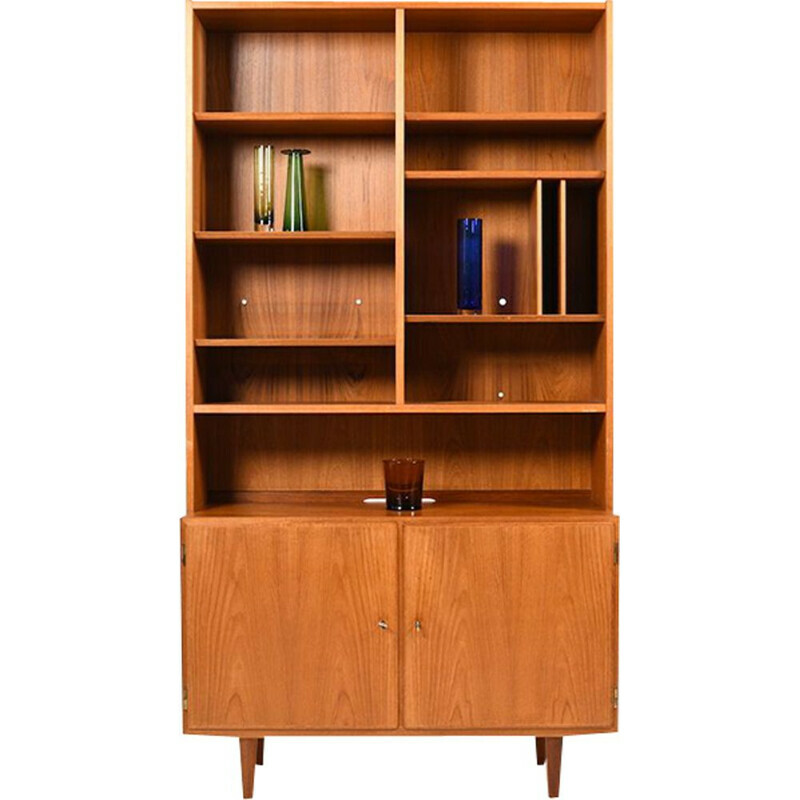 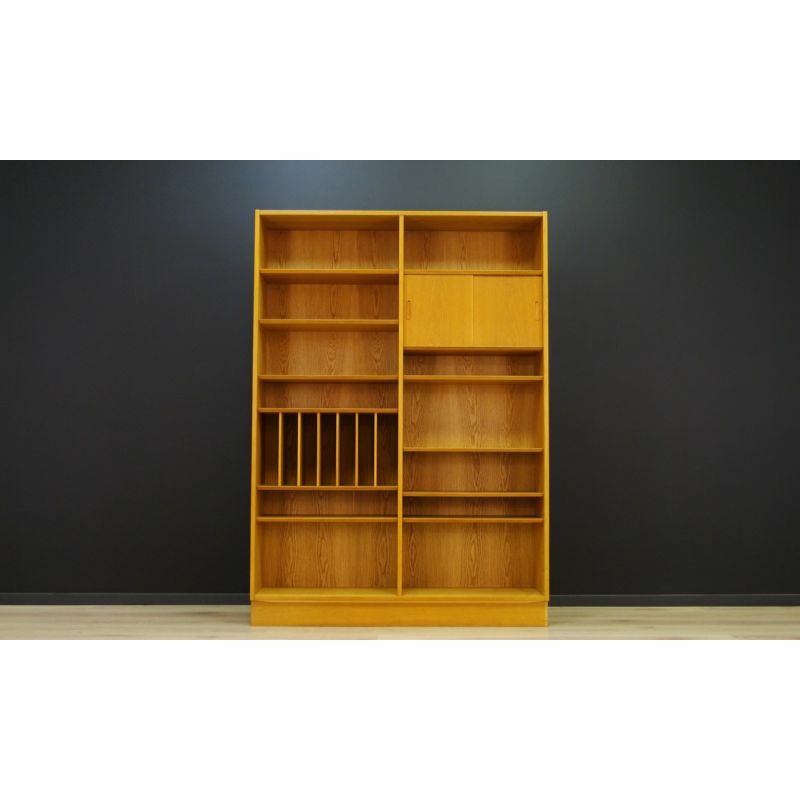 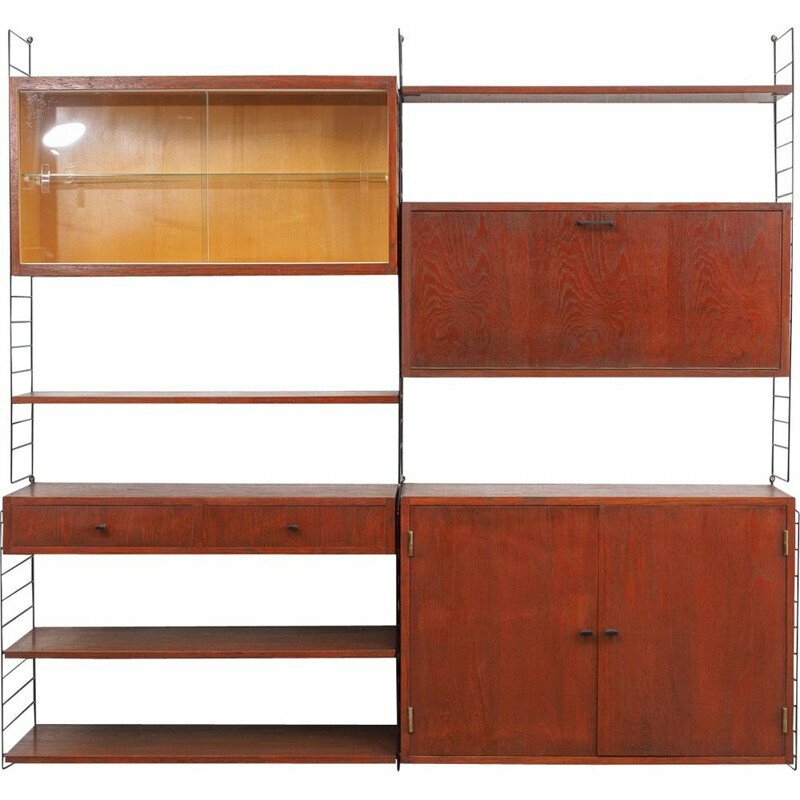 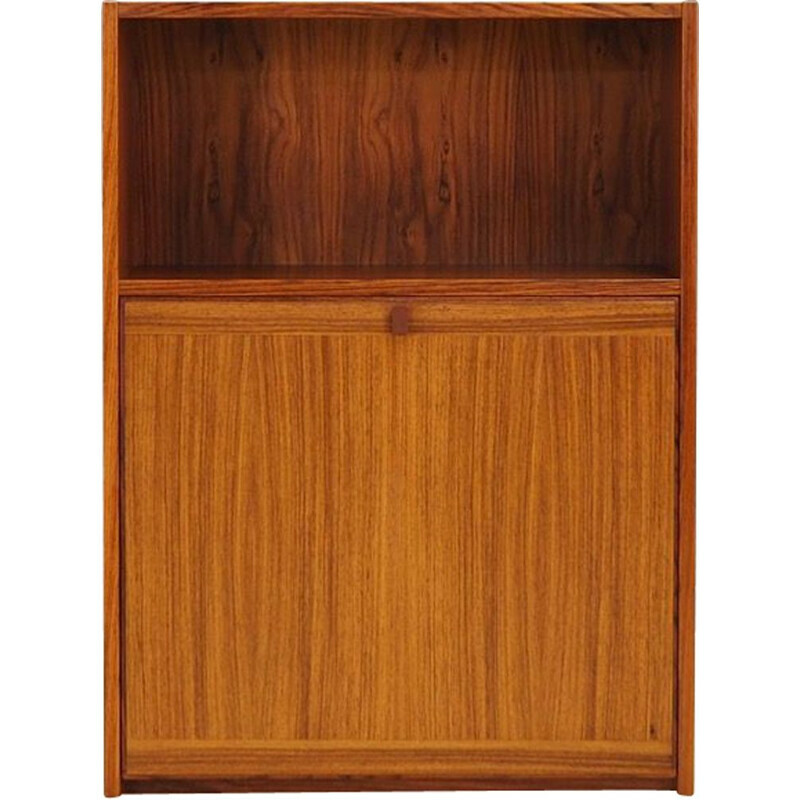 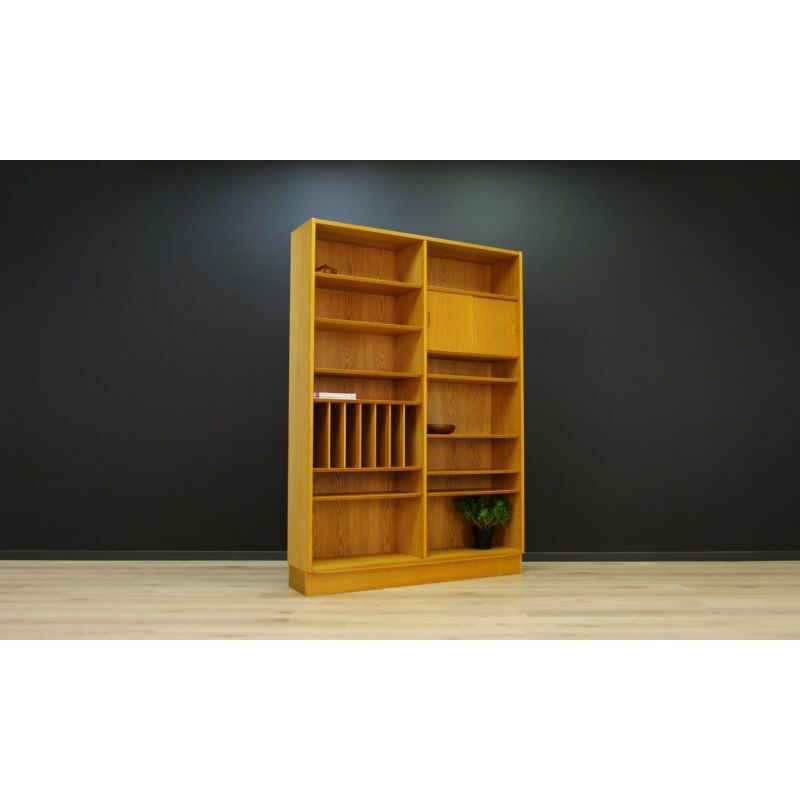 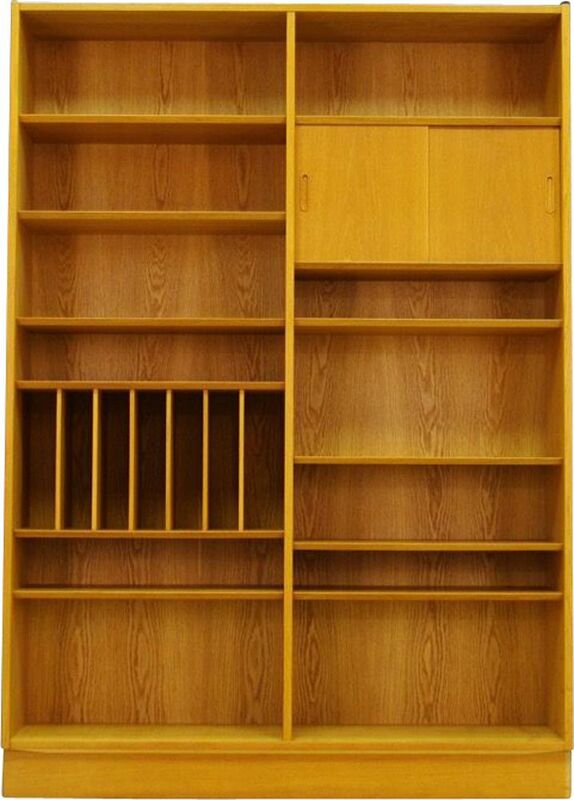 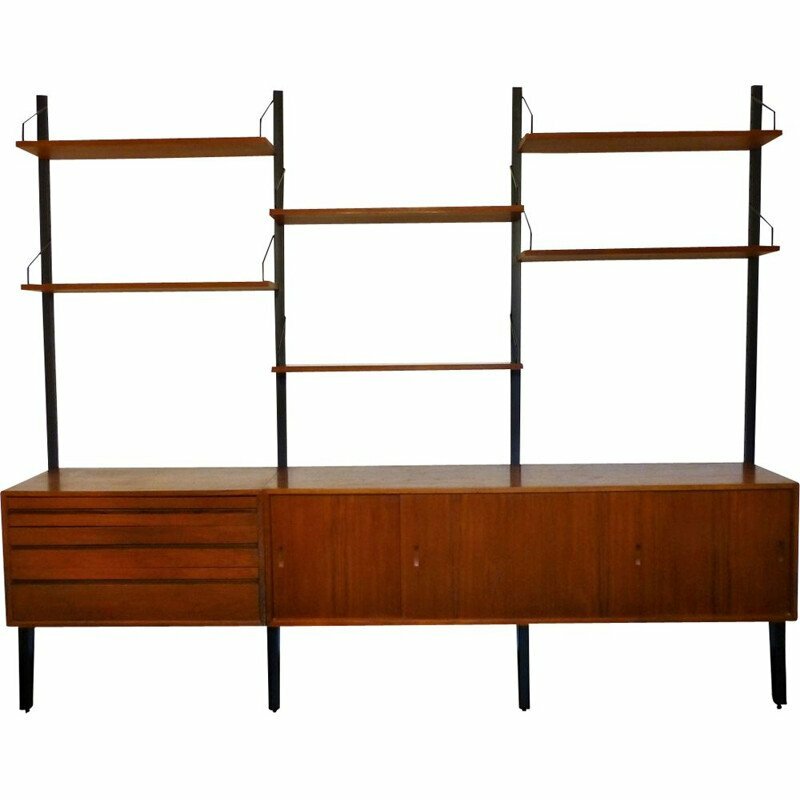 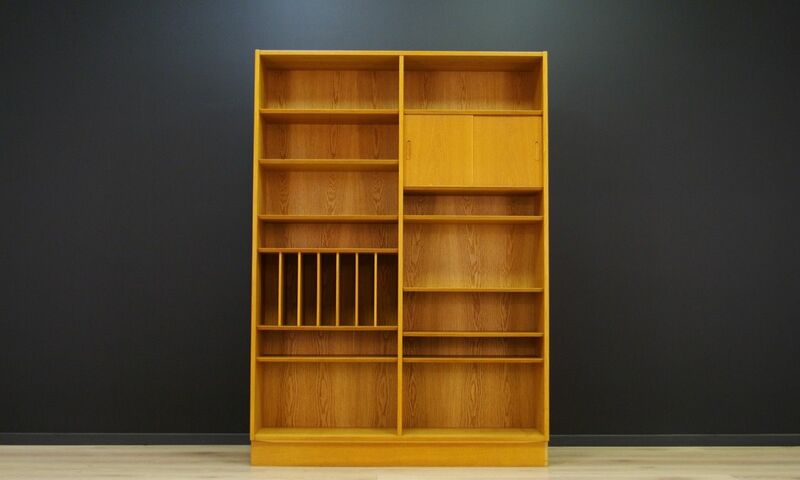 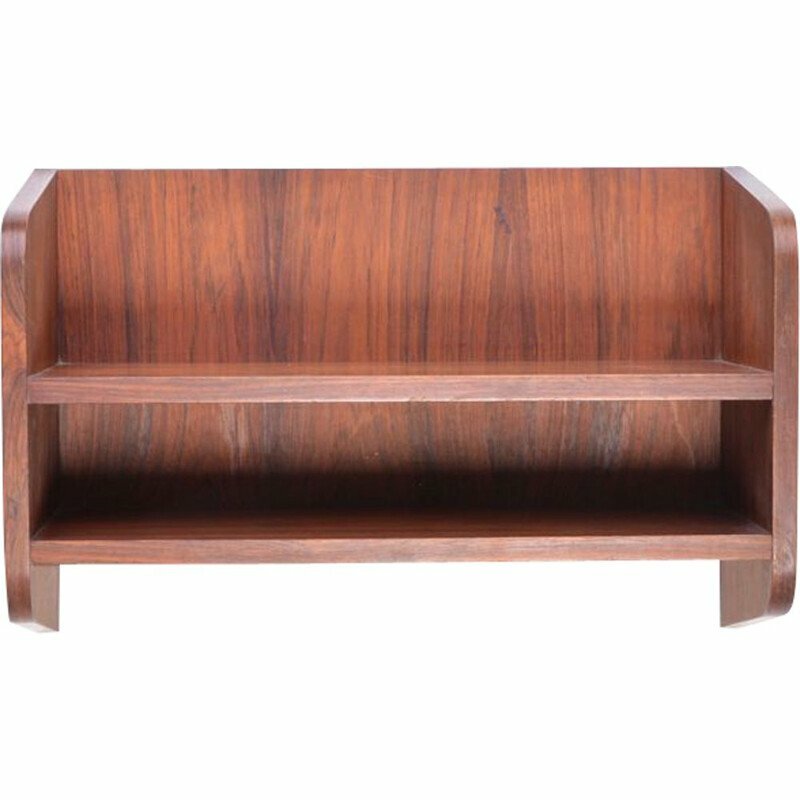 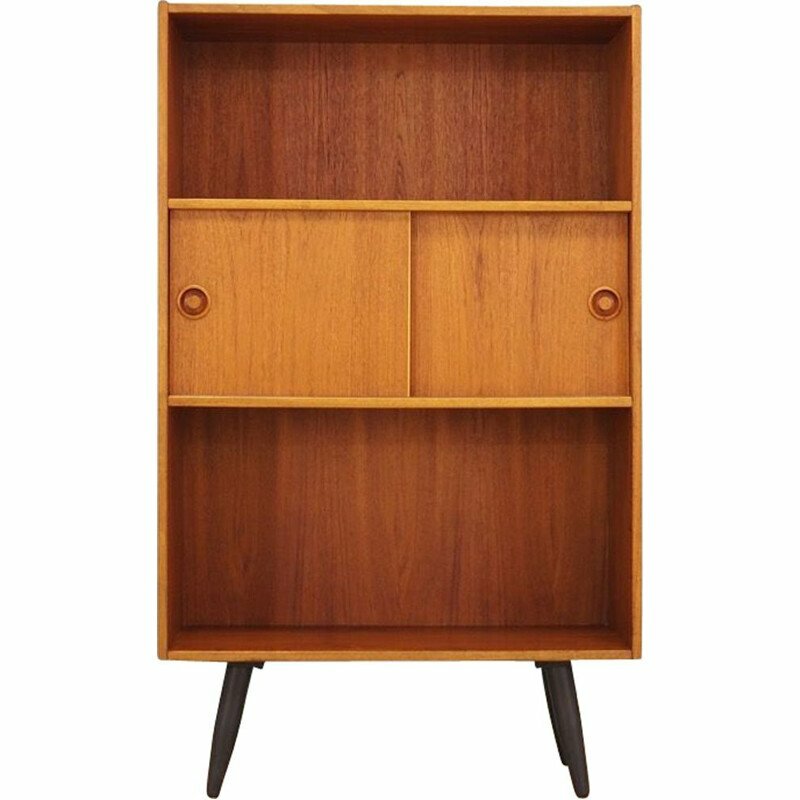 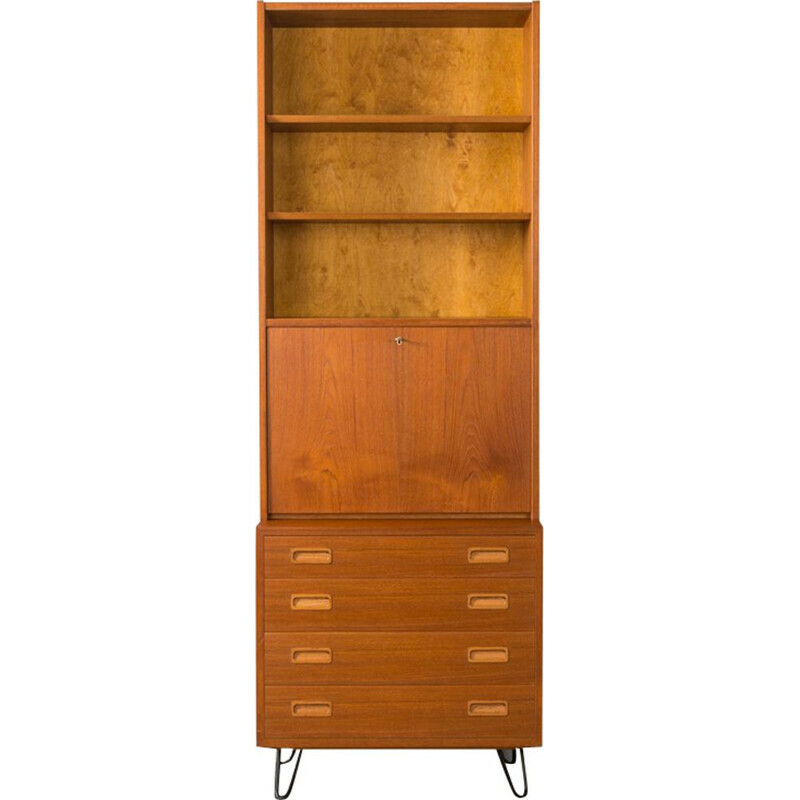 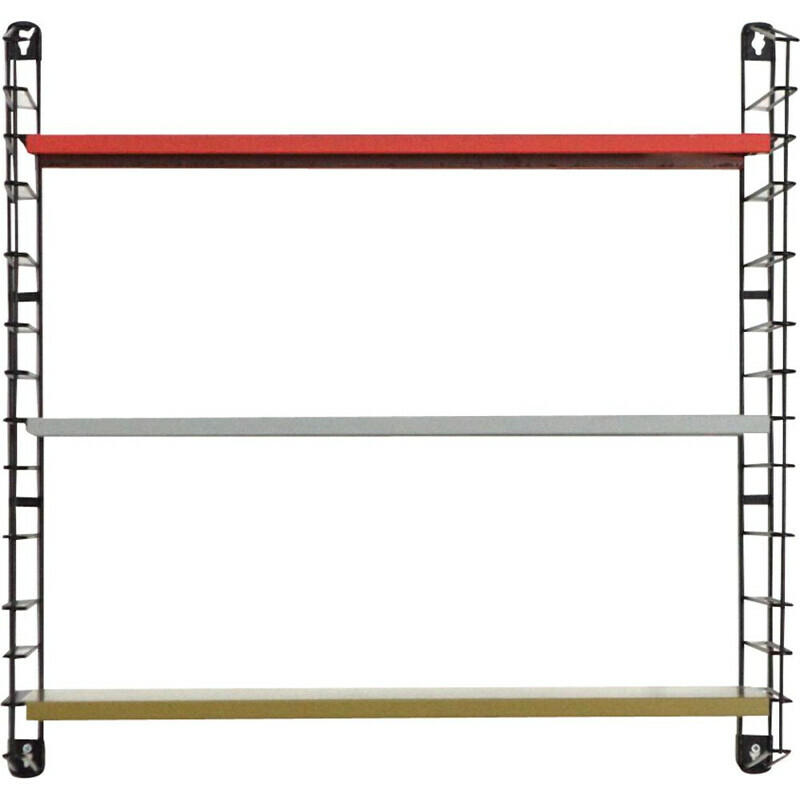 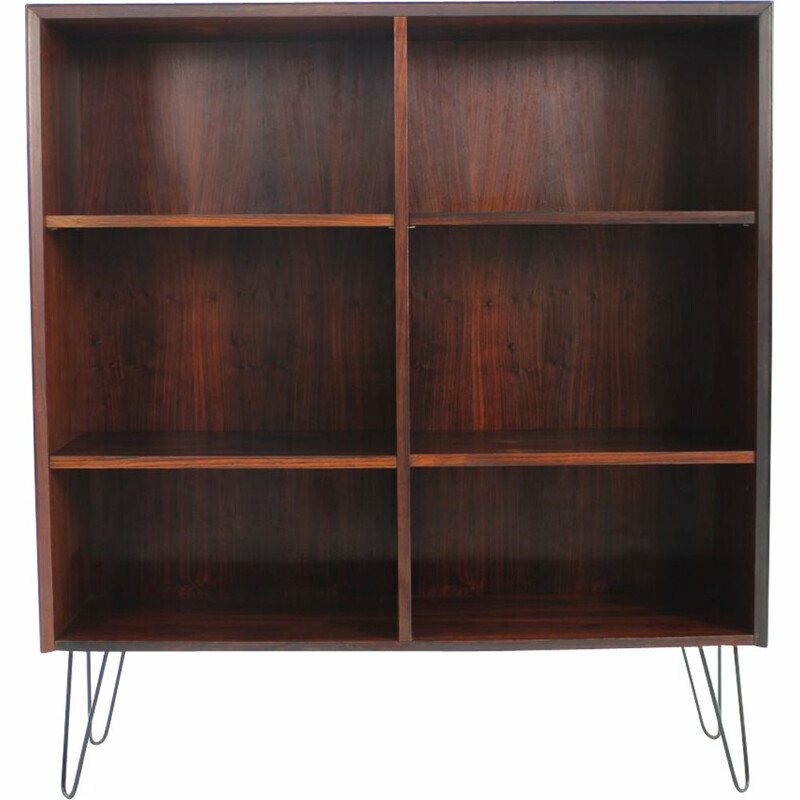 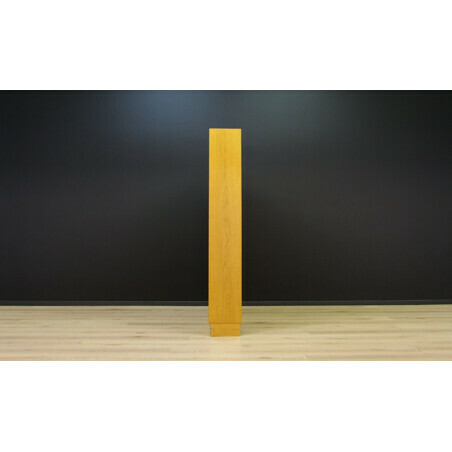 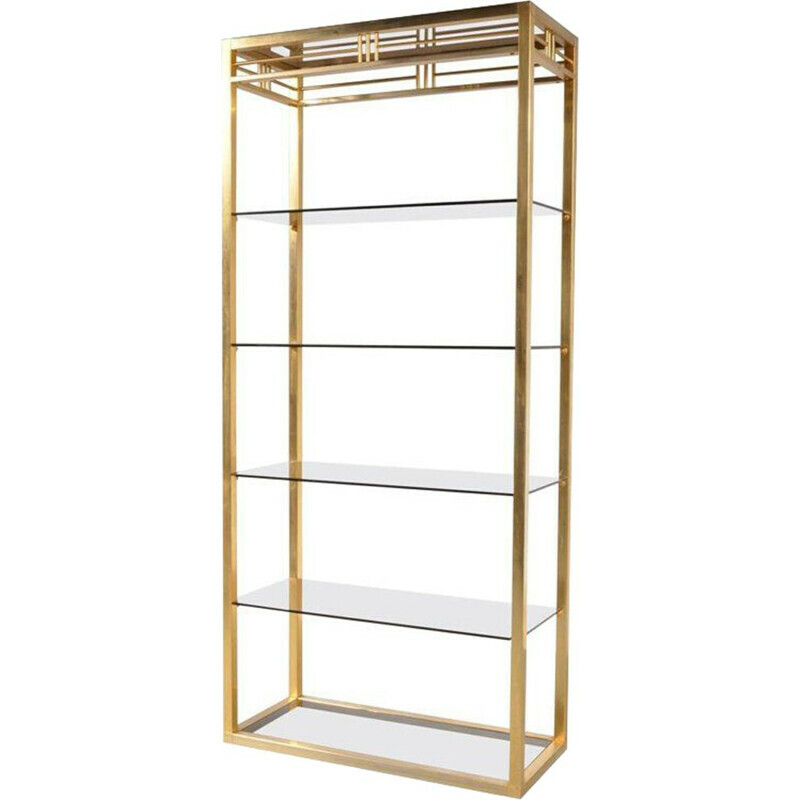 Minimalist bookcase from the 60s, Danish design, created by Danish designer Poul Hundevad, produced in the Hundevad & Co. manufactory. 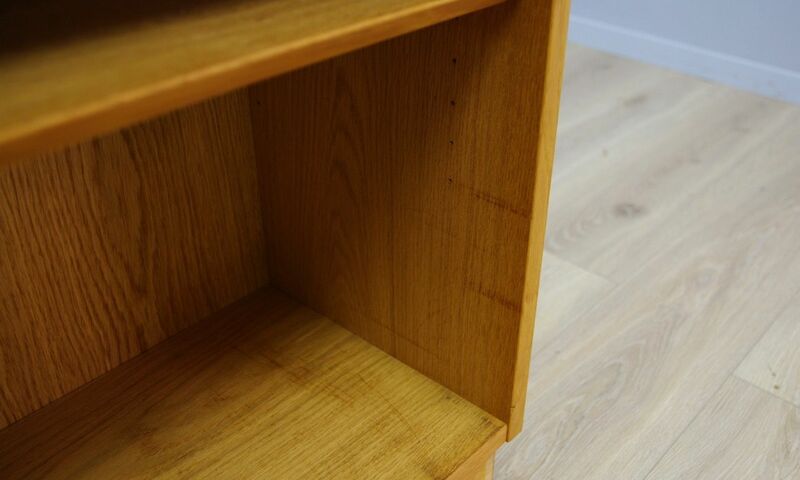 Surface veneered with ash. 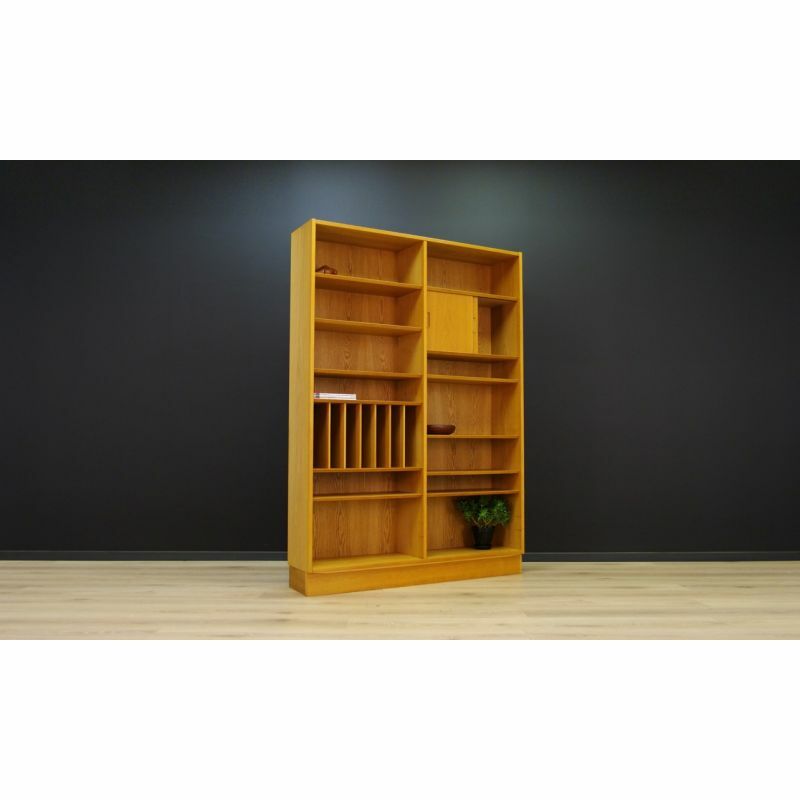 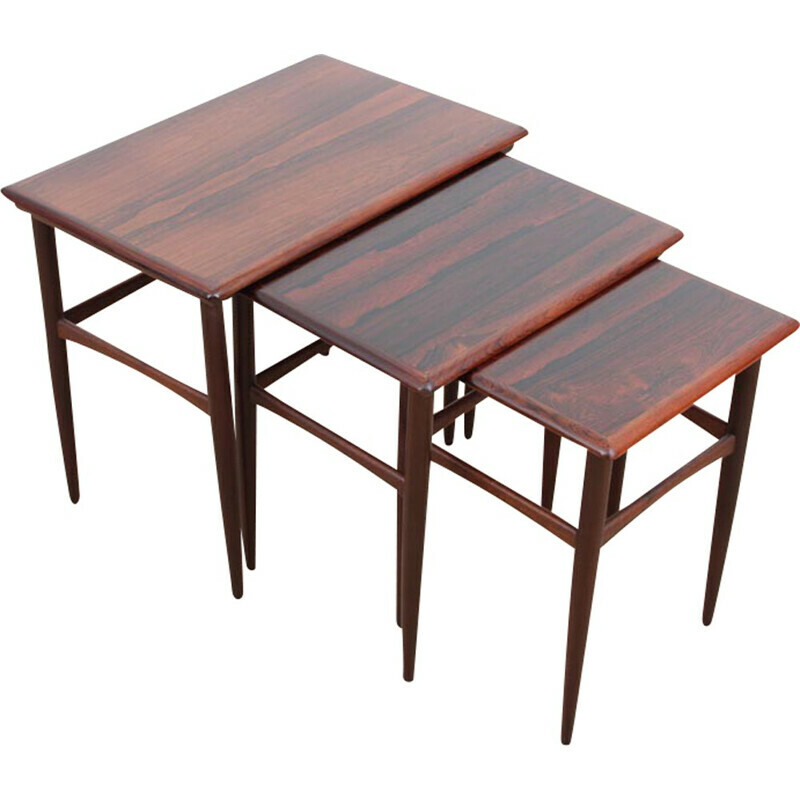 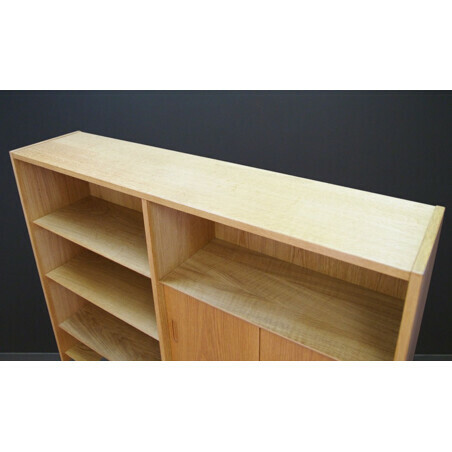 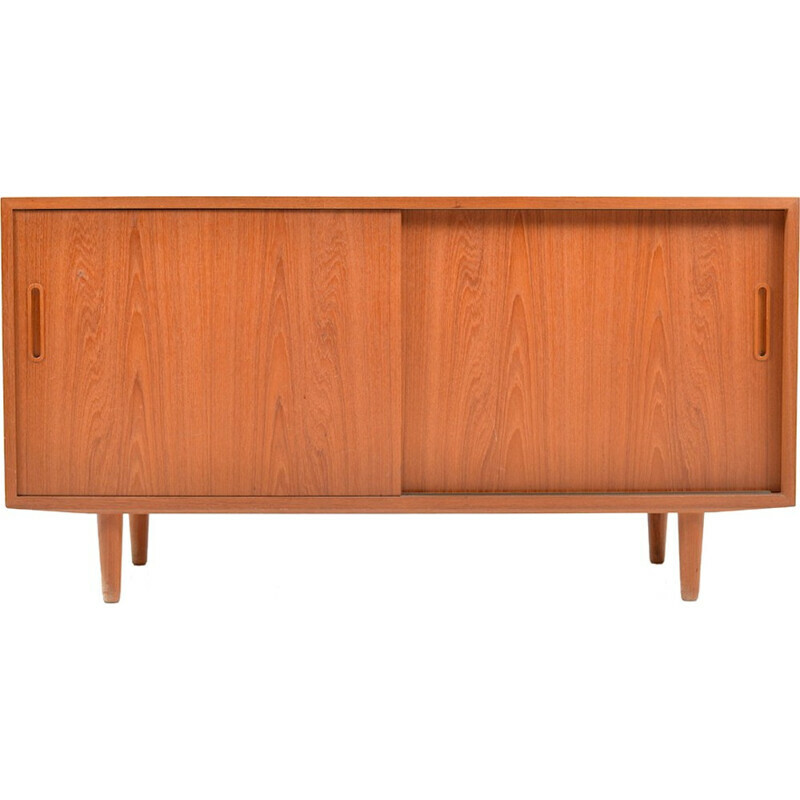 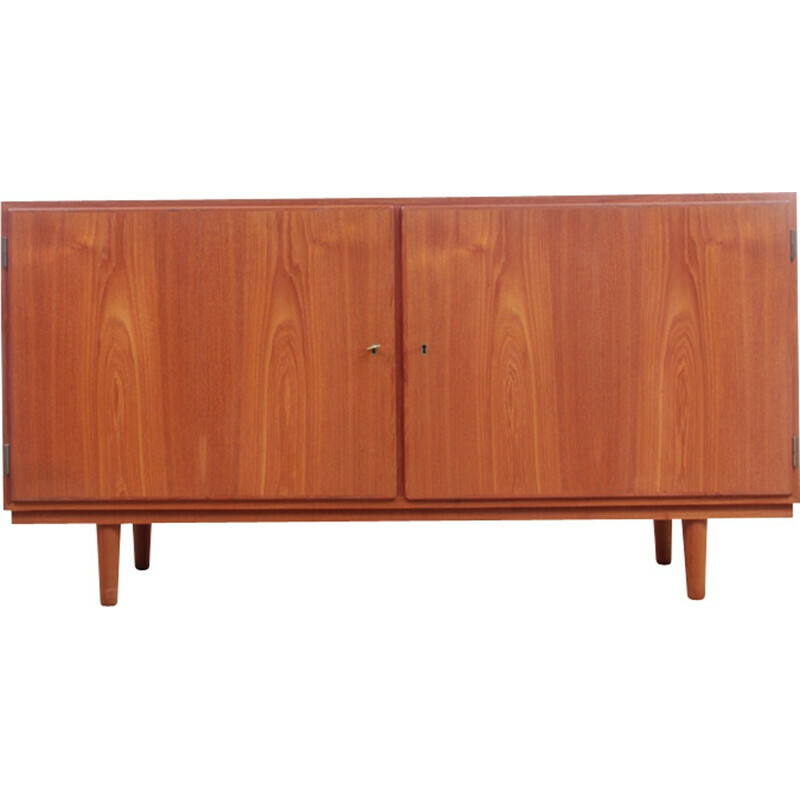 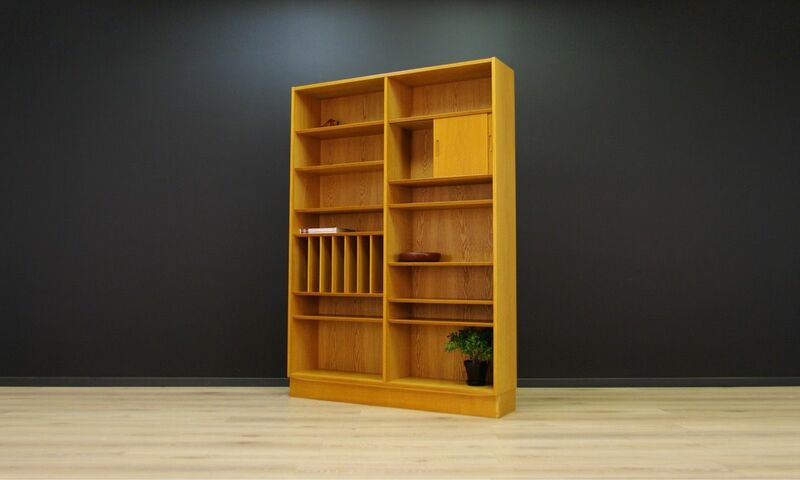 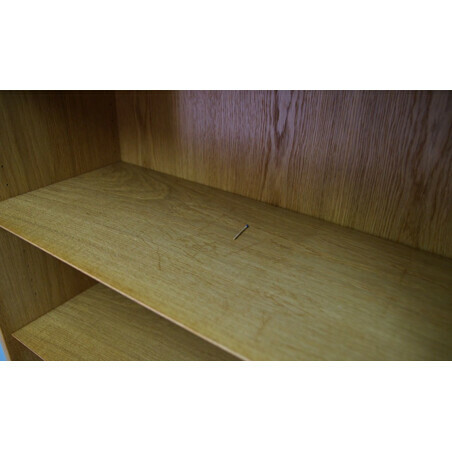 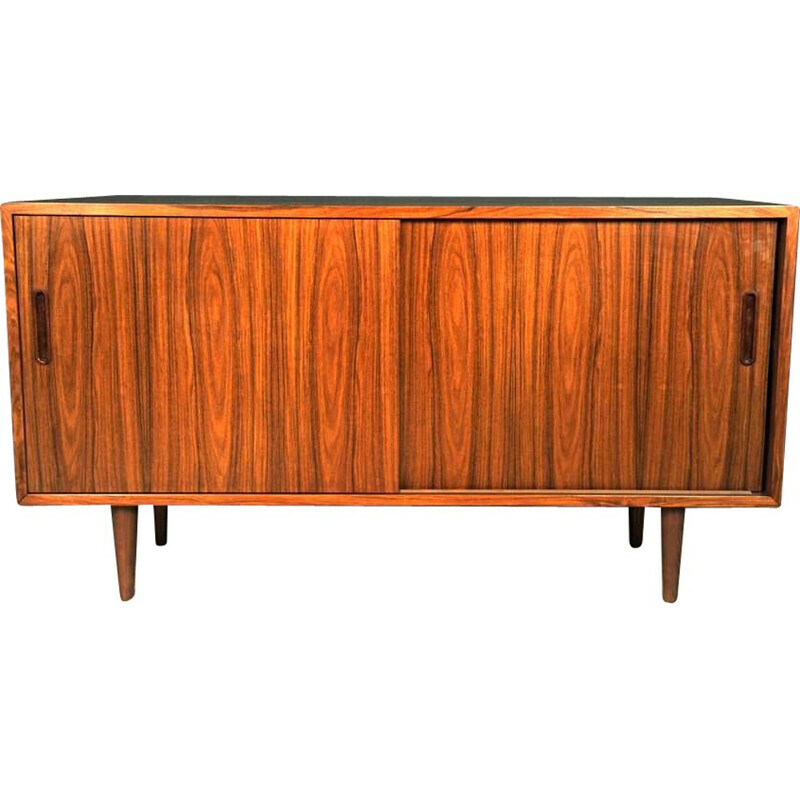 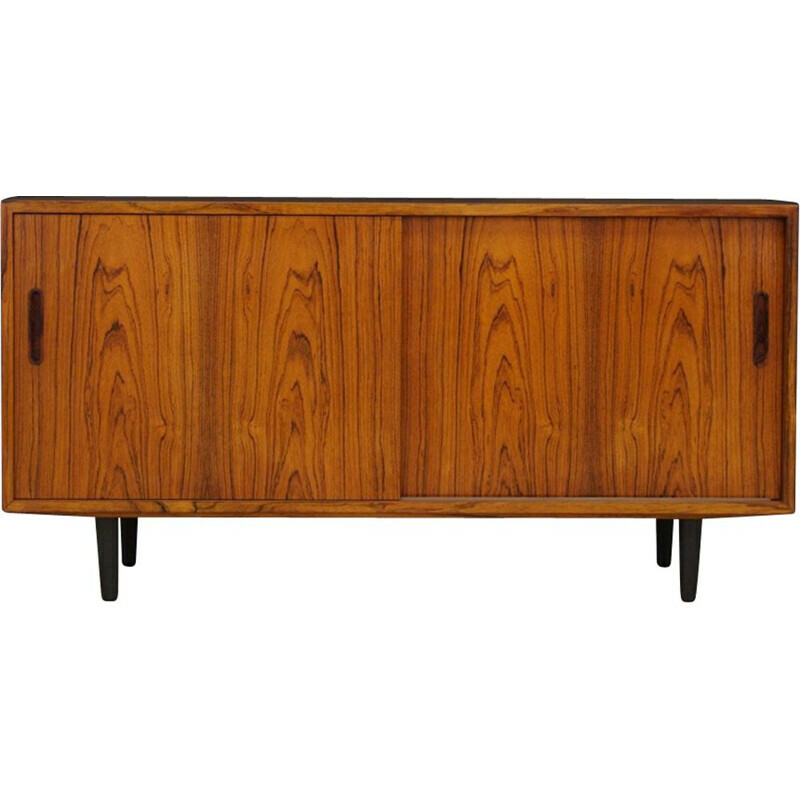 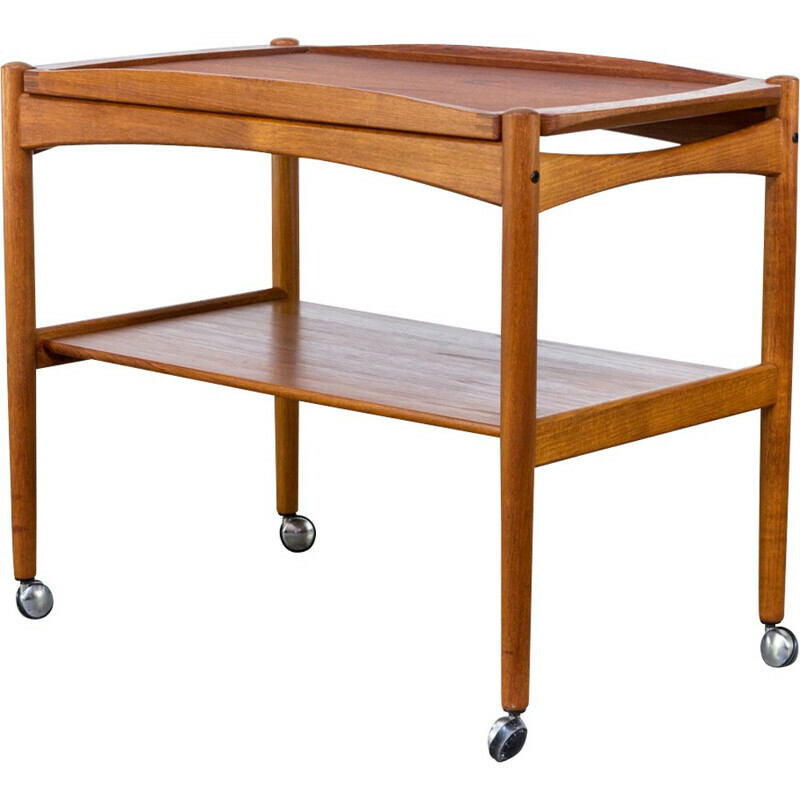 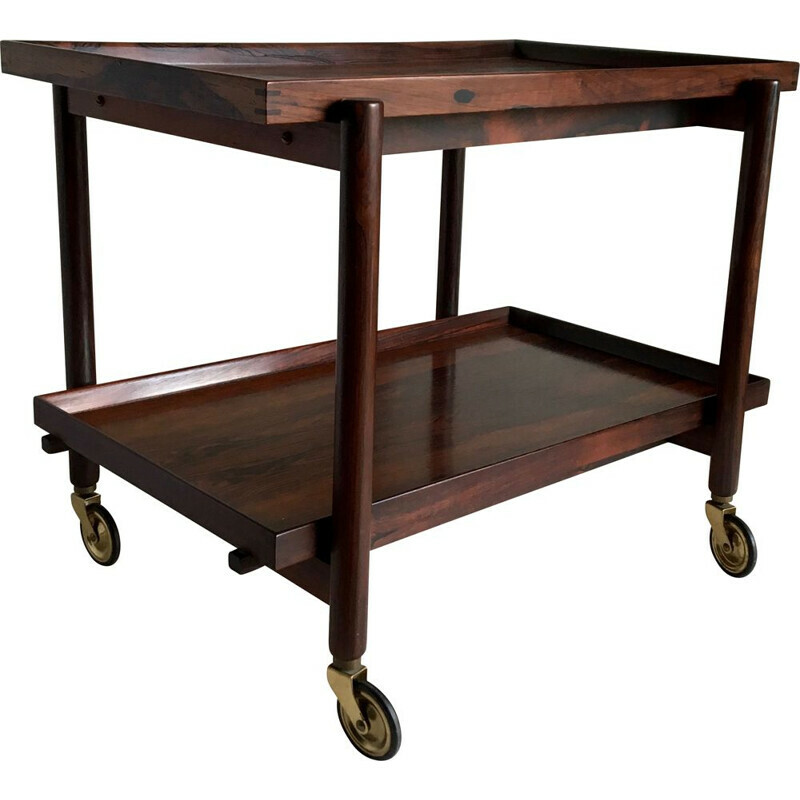 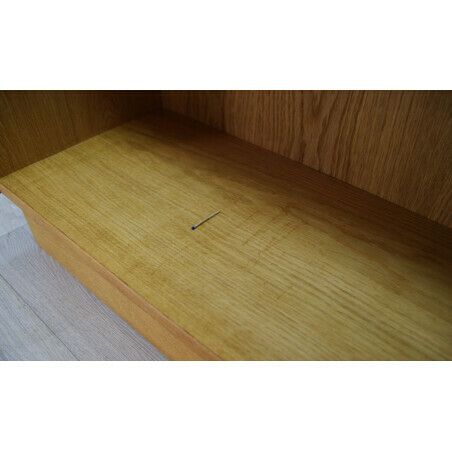 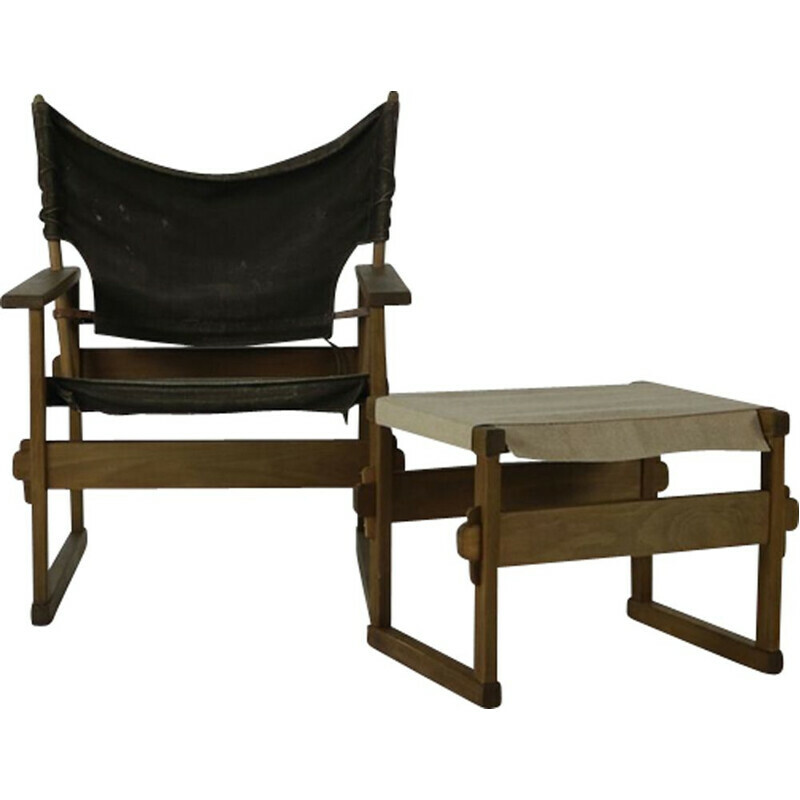 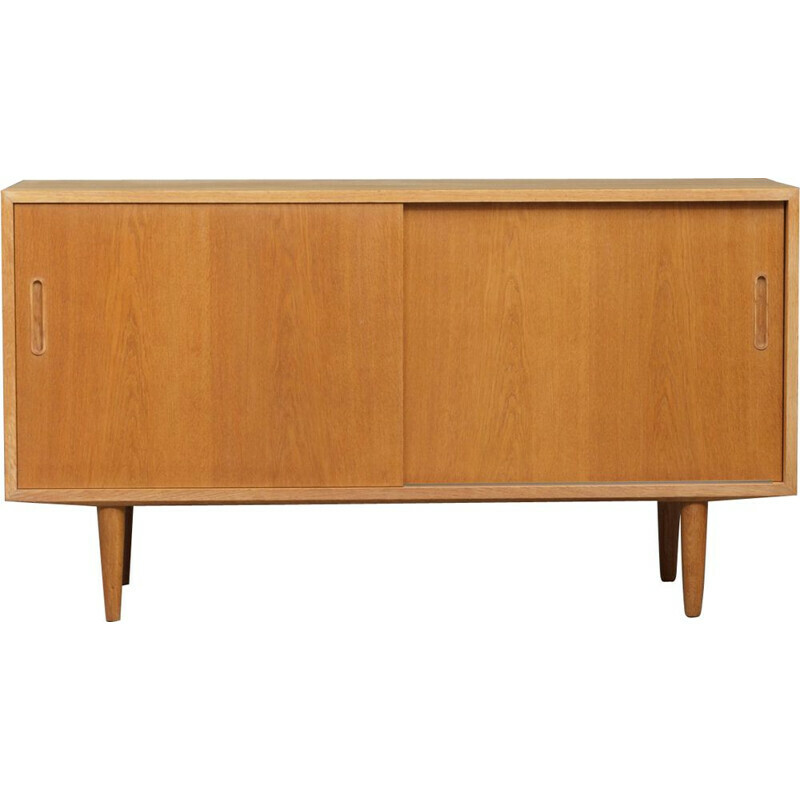 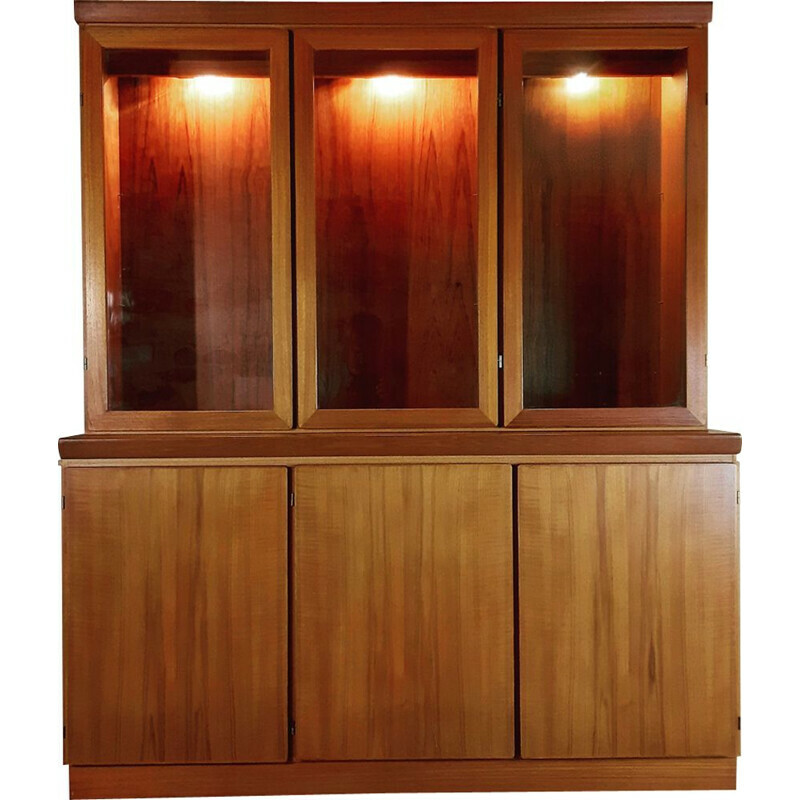 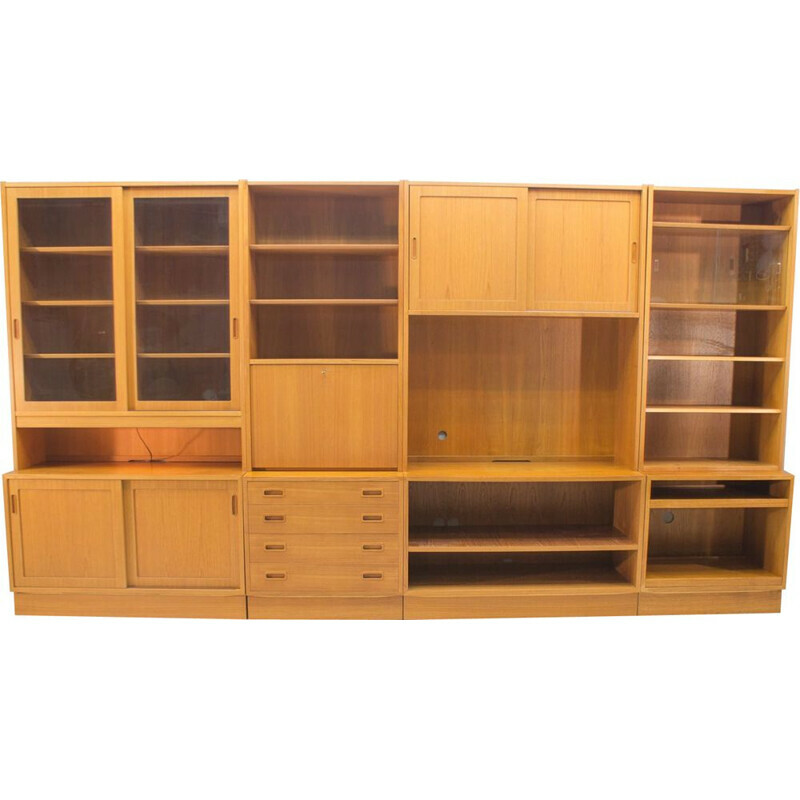 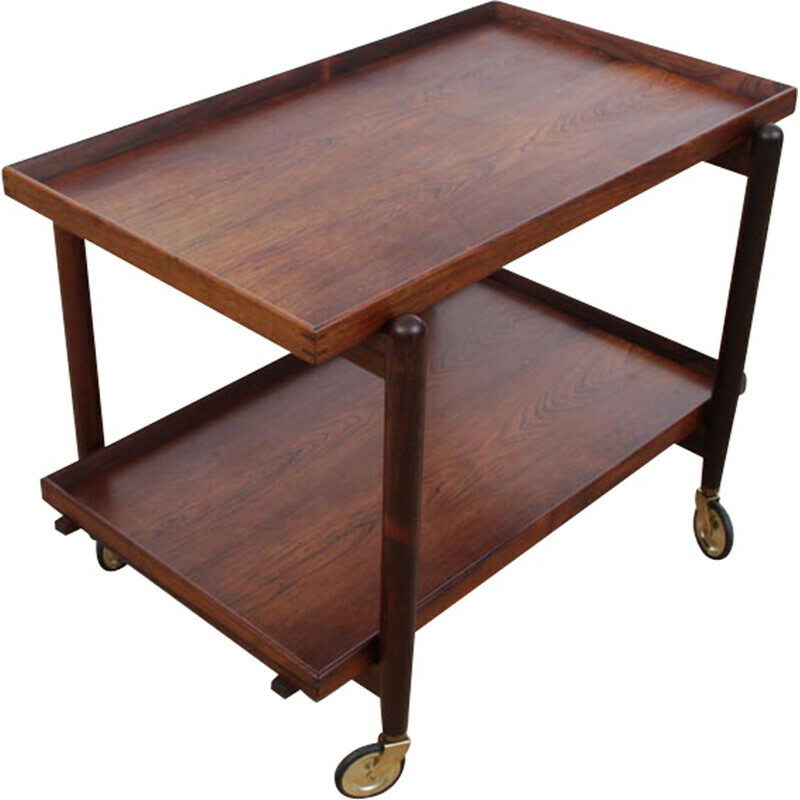 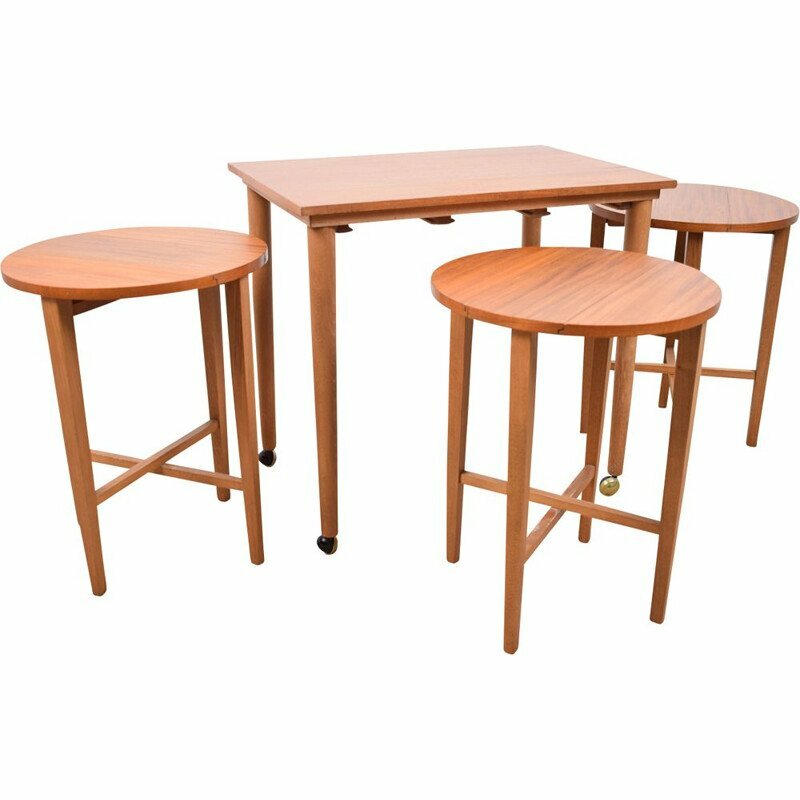 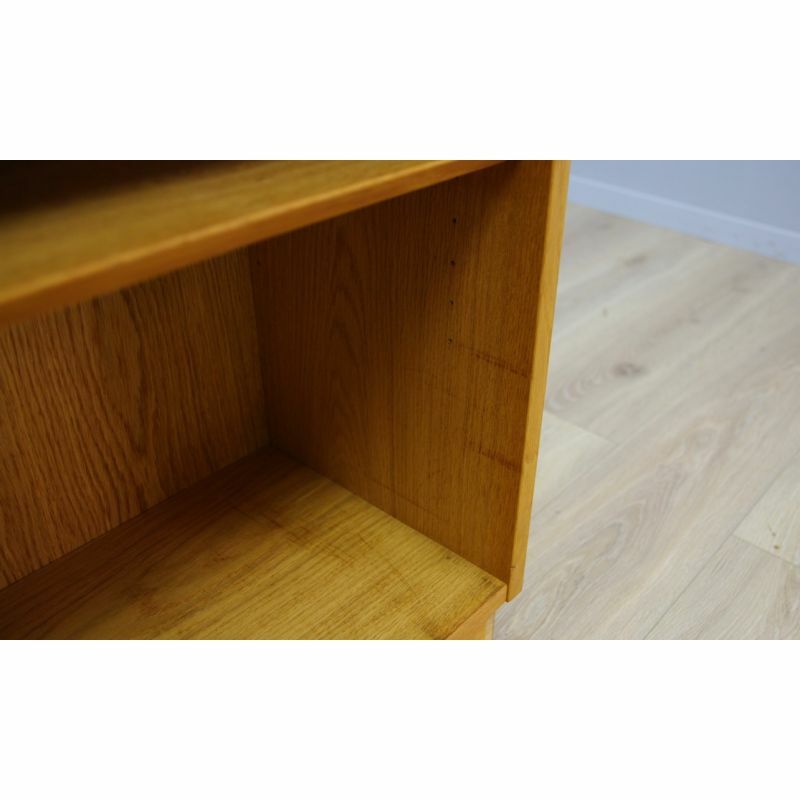 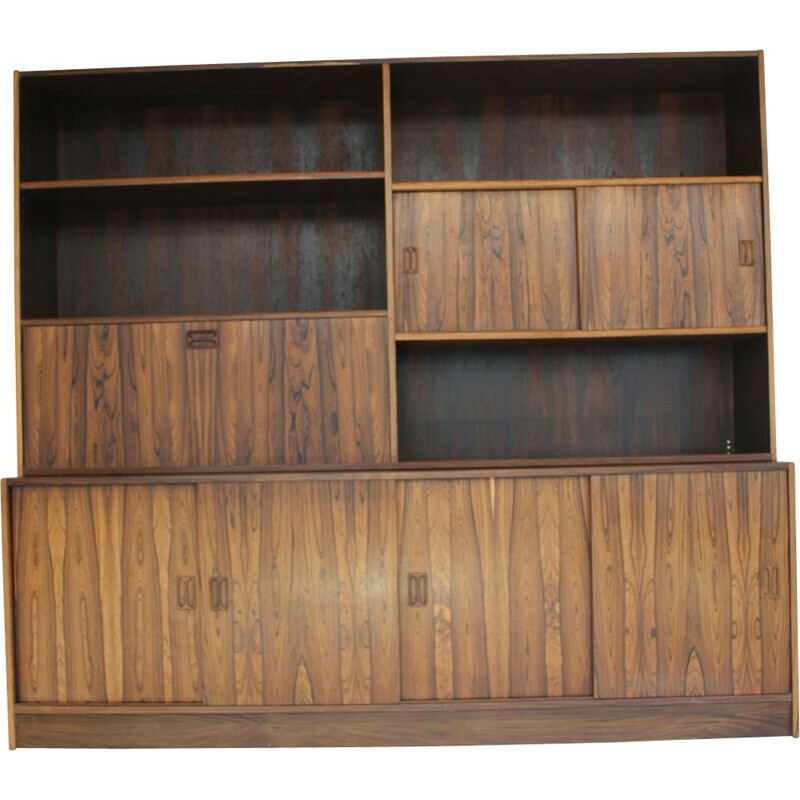 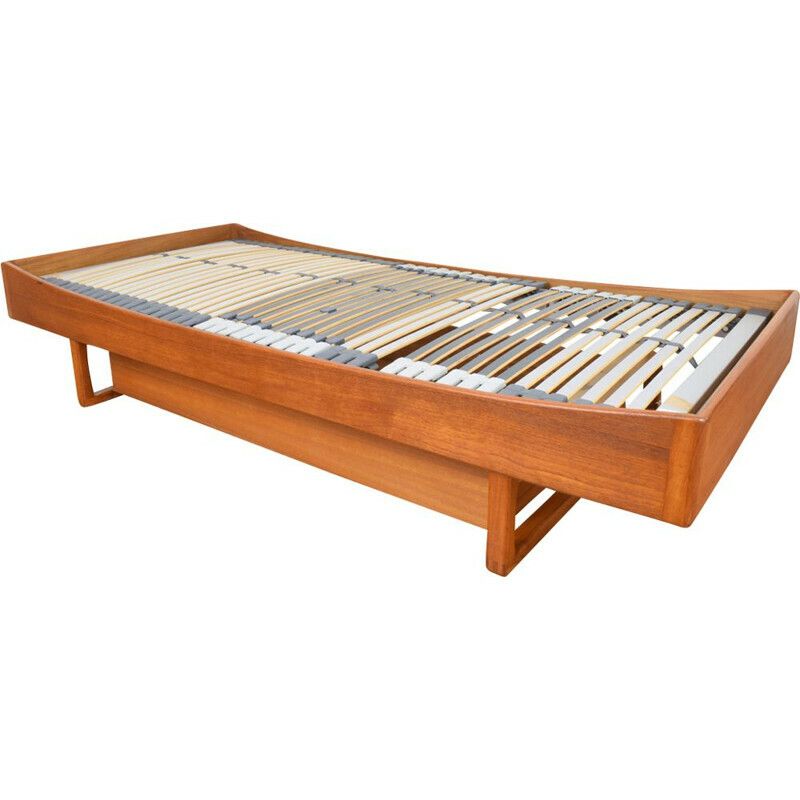 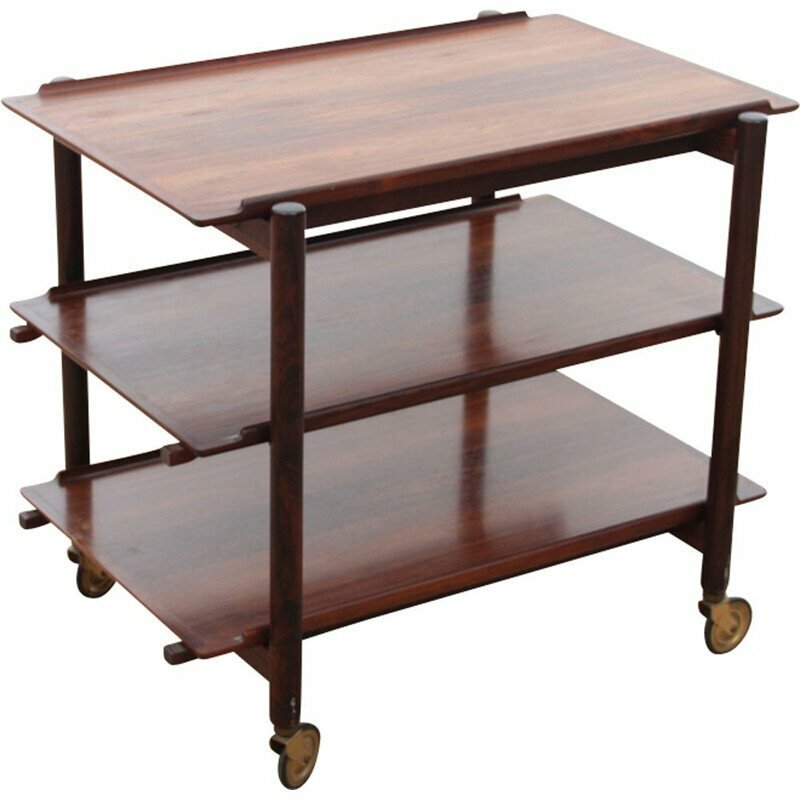 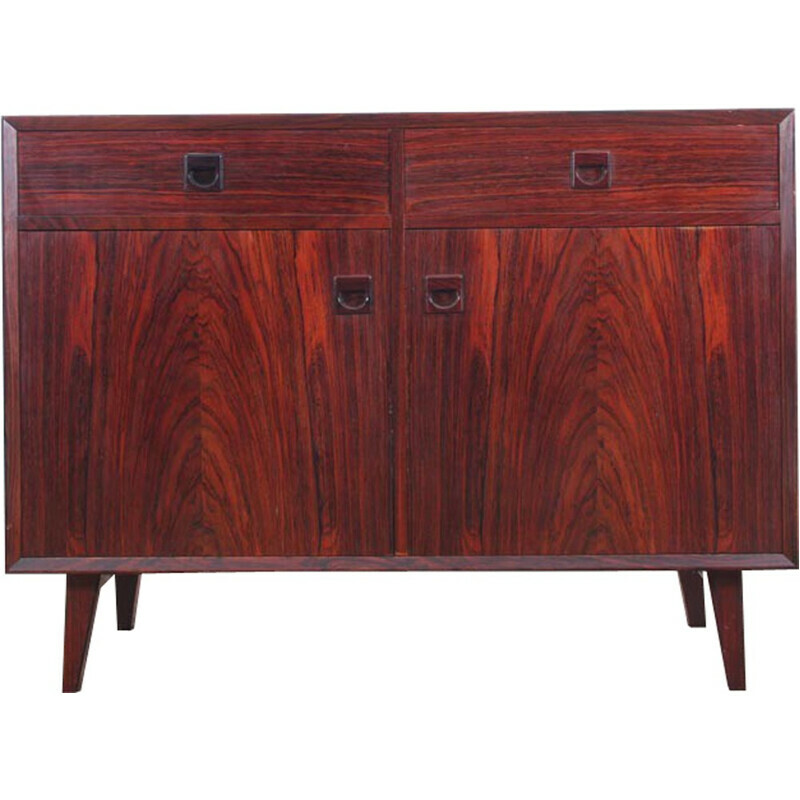 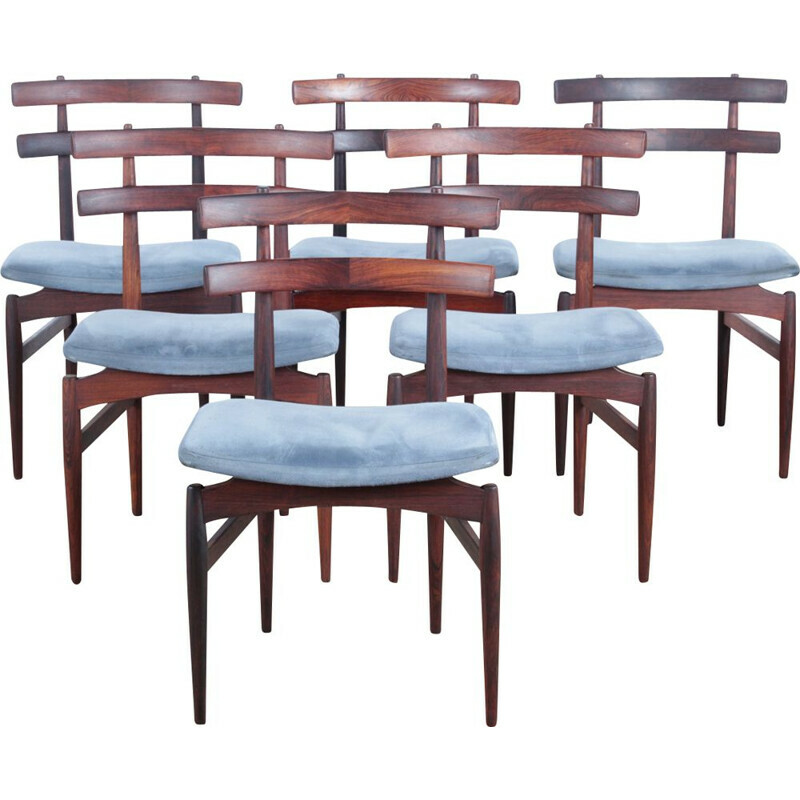 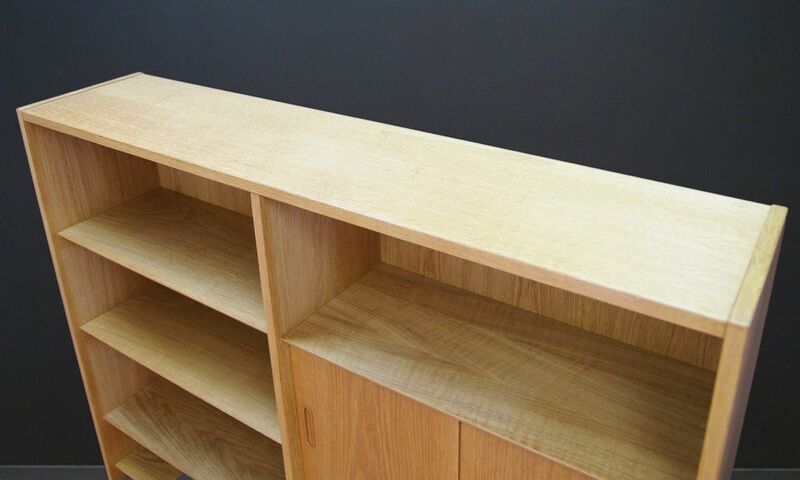 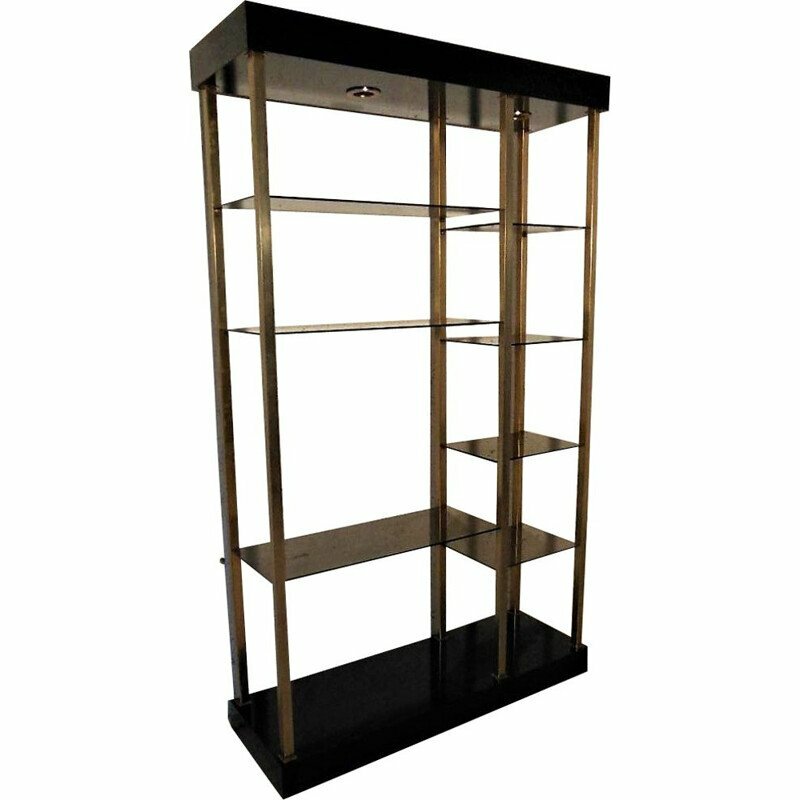 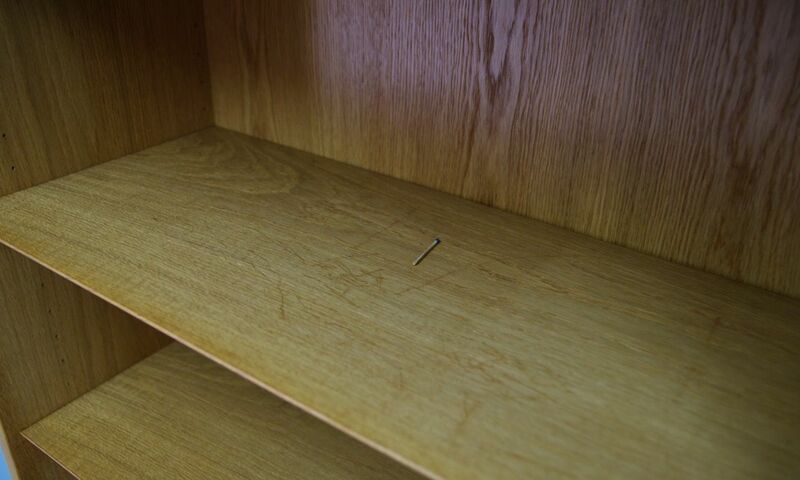 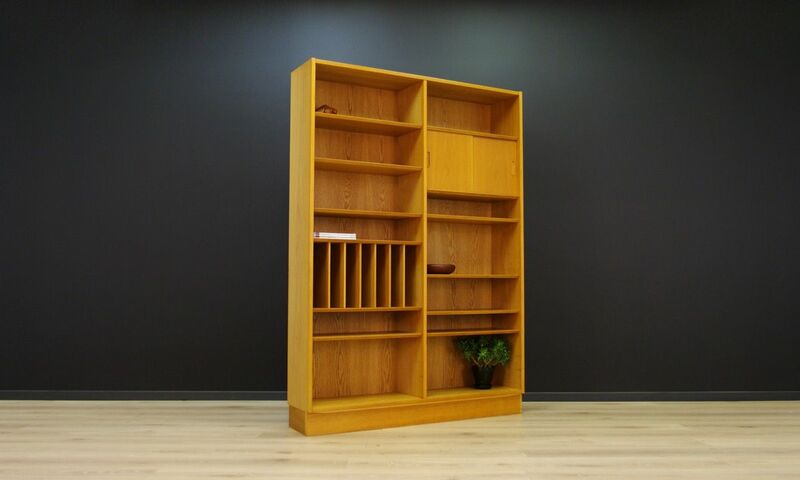 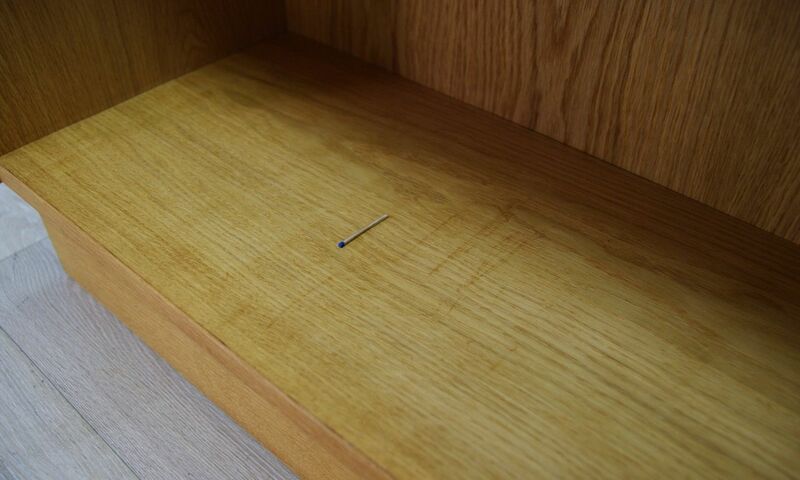 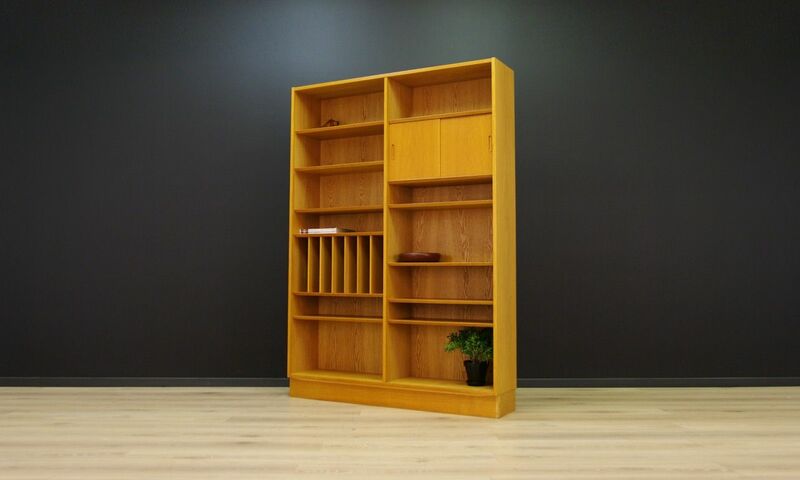 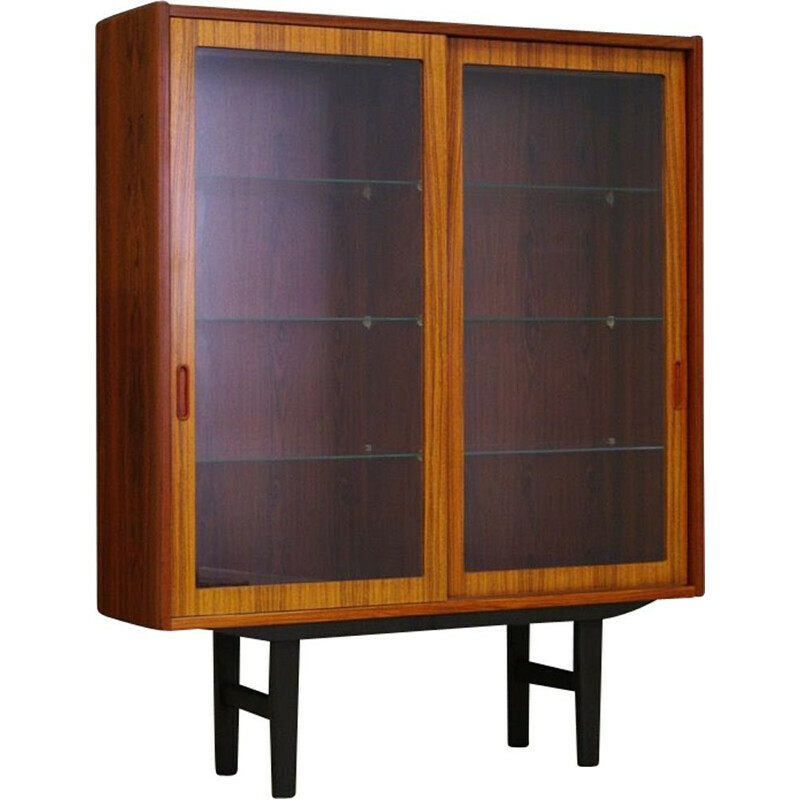 The furniture has a lot of adjustable shelves, a cabinet with sliding doors, and compartments. 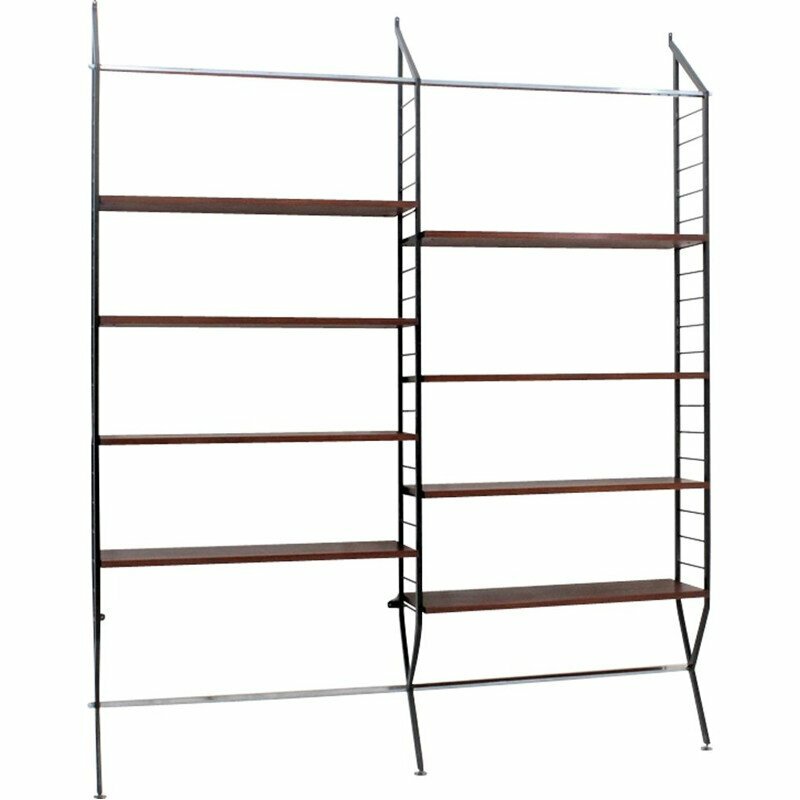 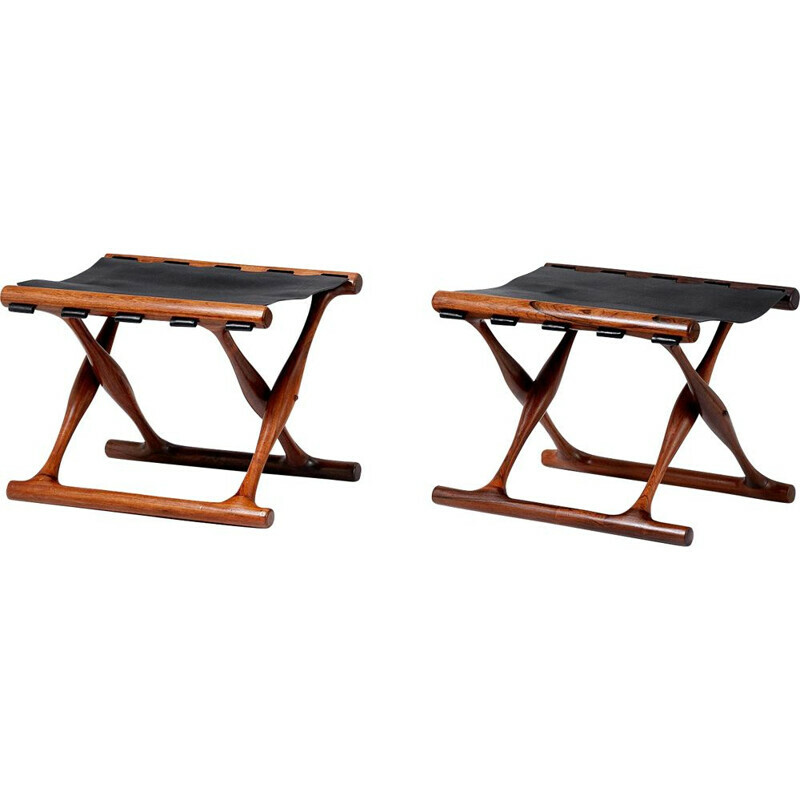 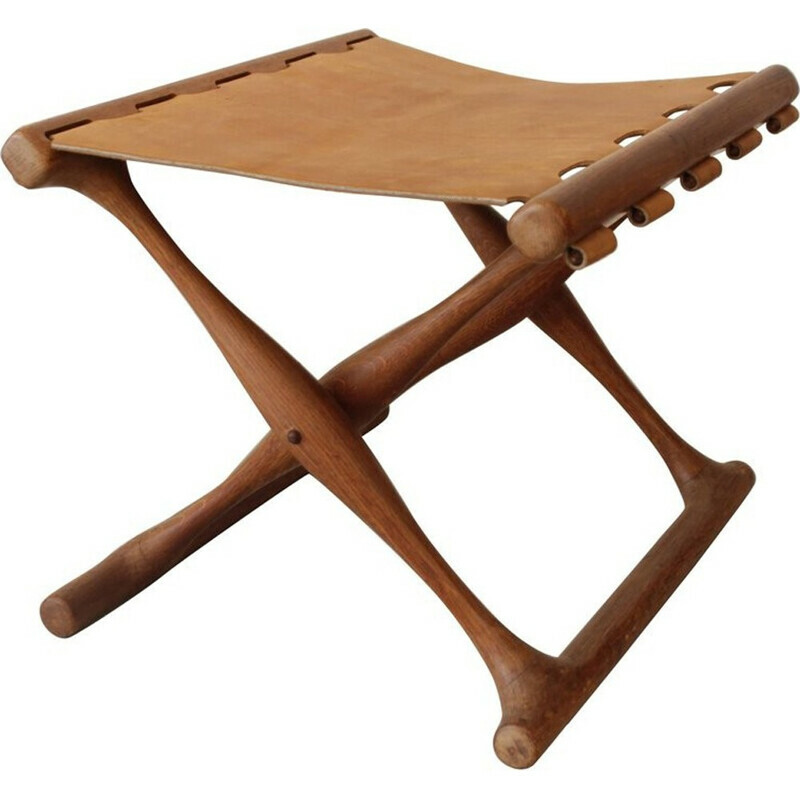 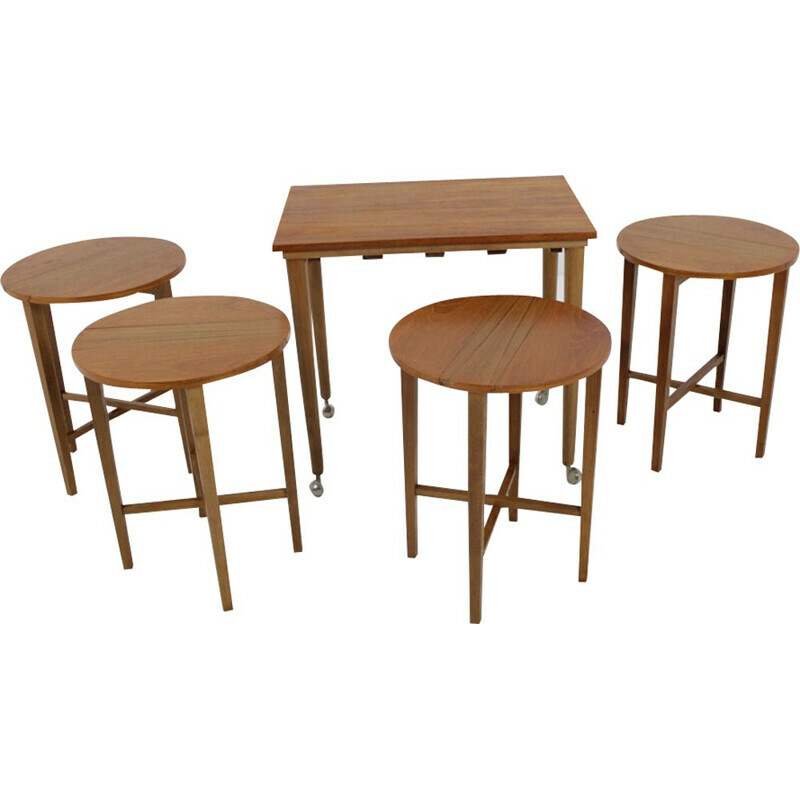 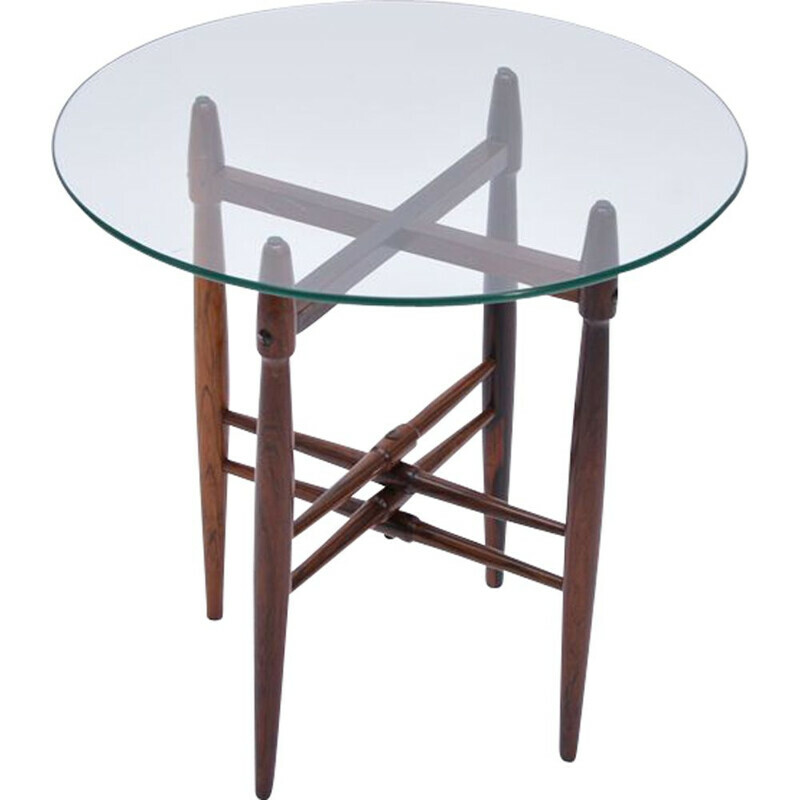 Preserved in good condition (small bruises and scratches) - directly for use.